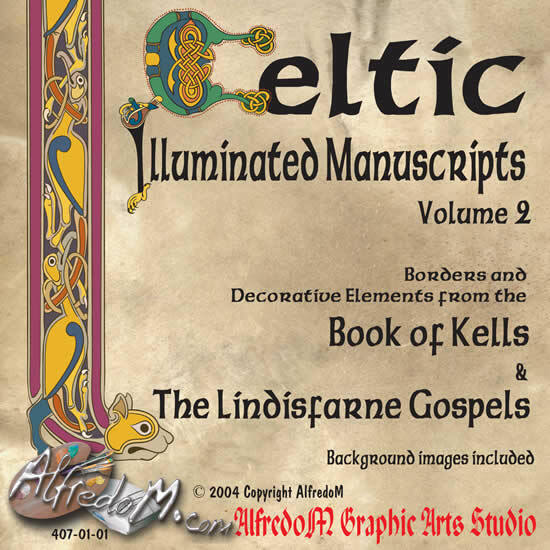 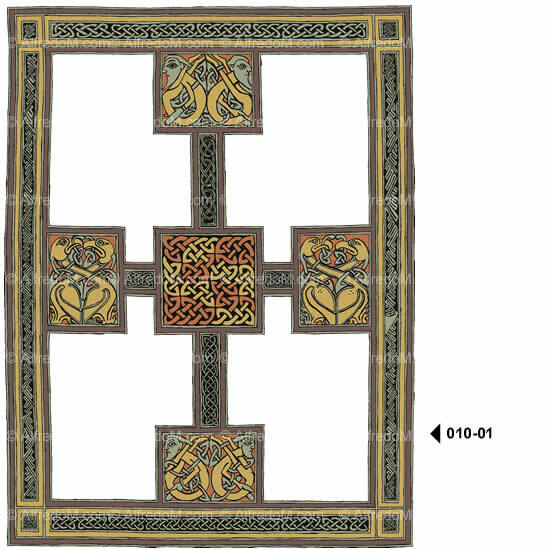 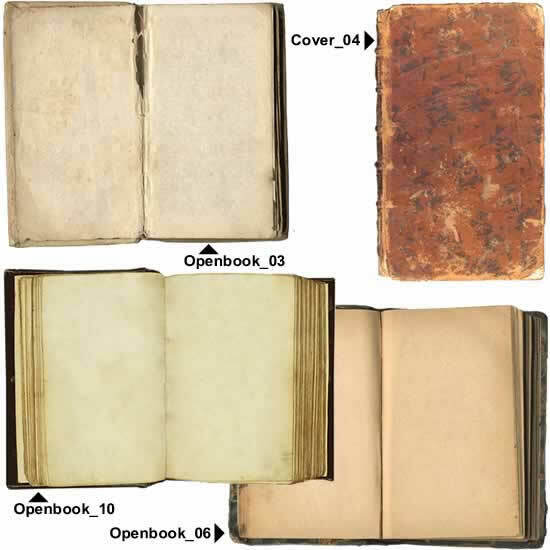 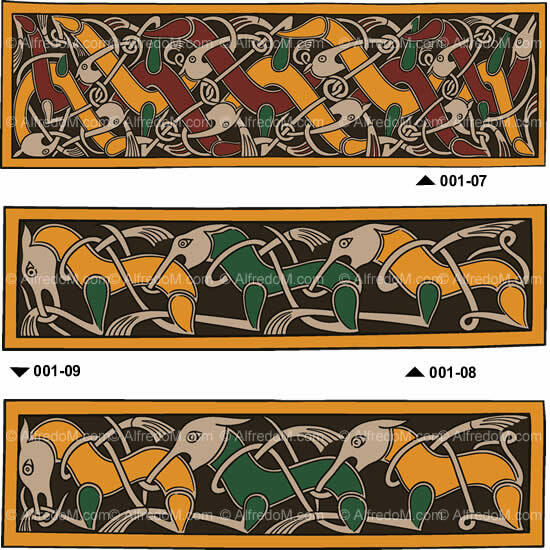 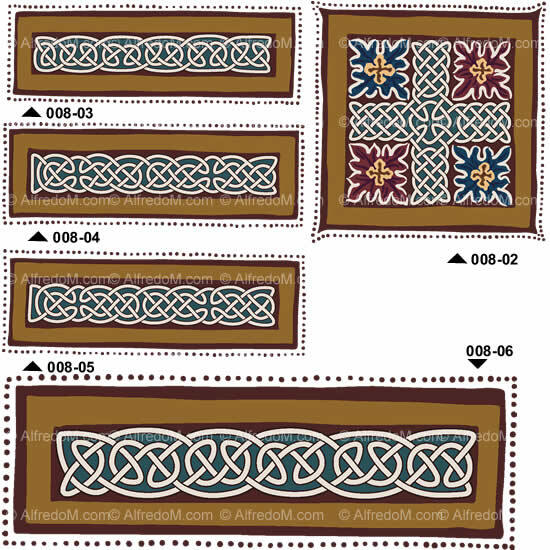 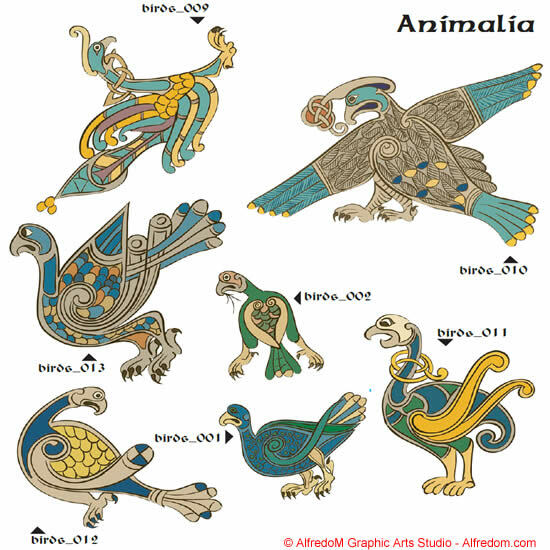 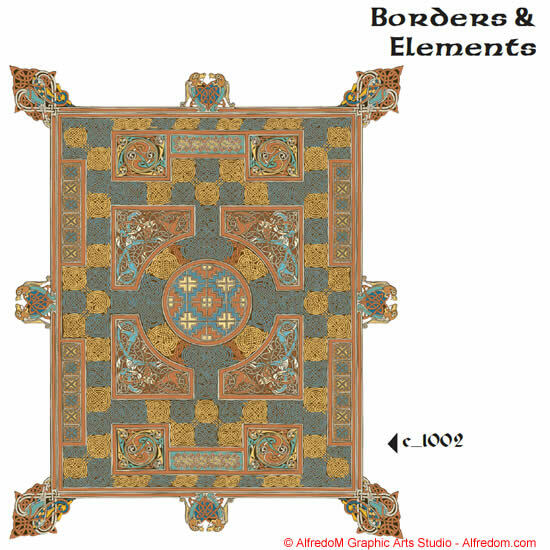 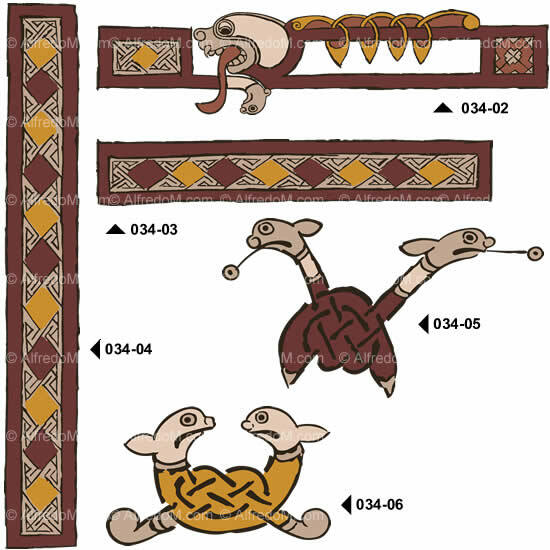 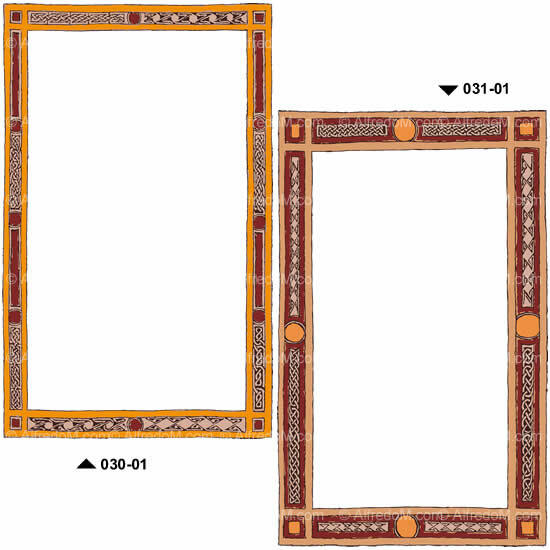 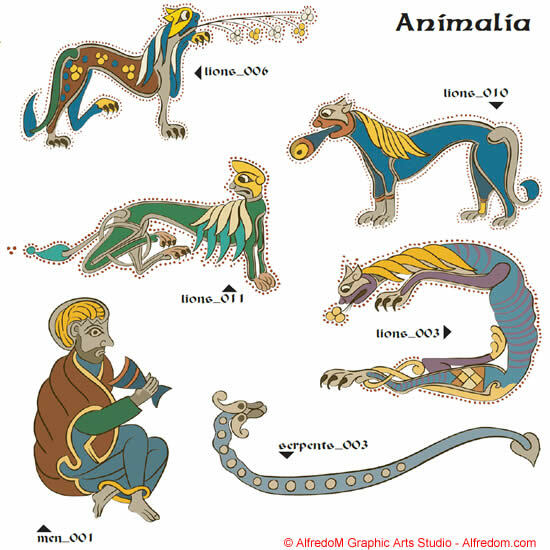 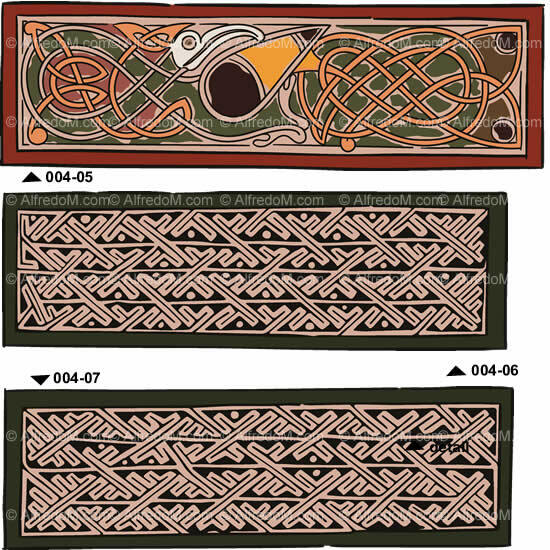 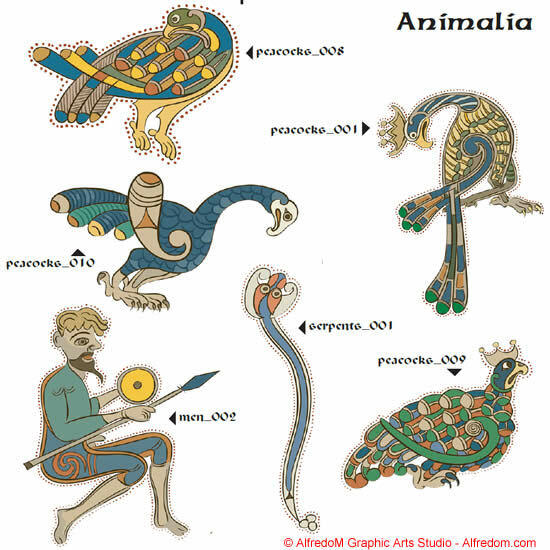 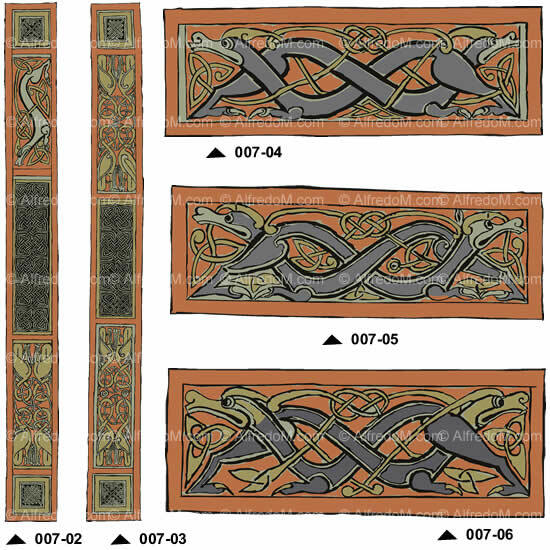 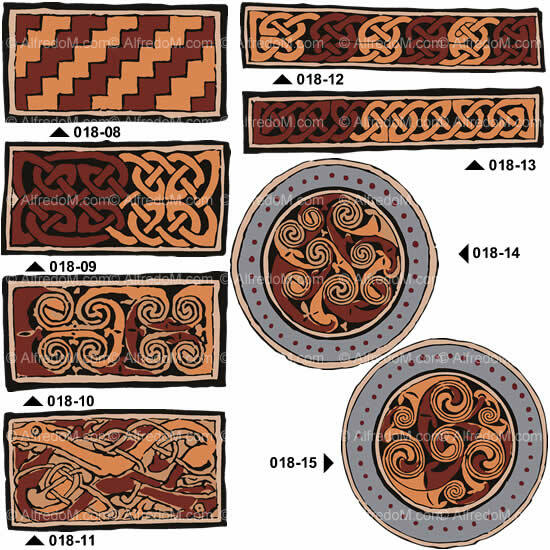 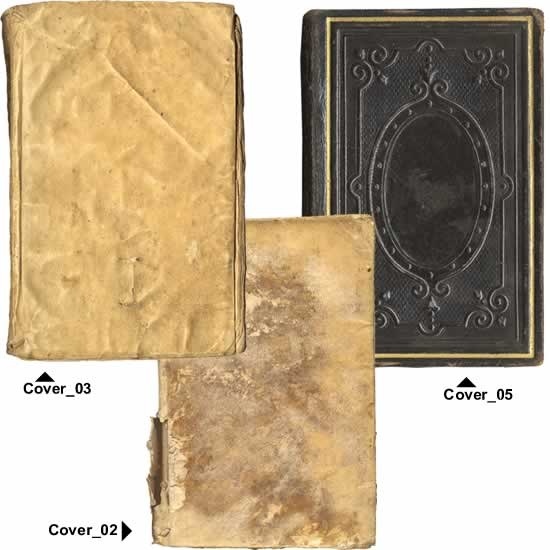 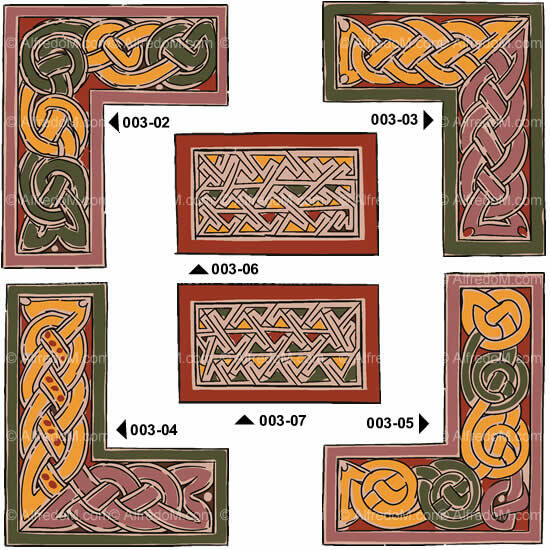 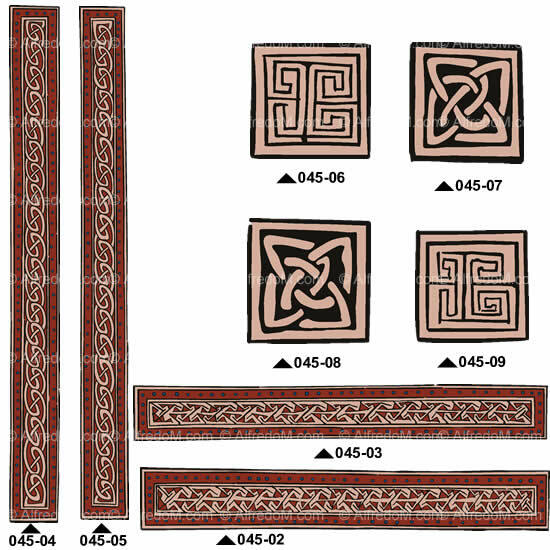 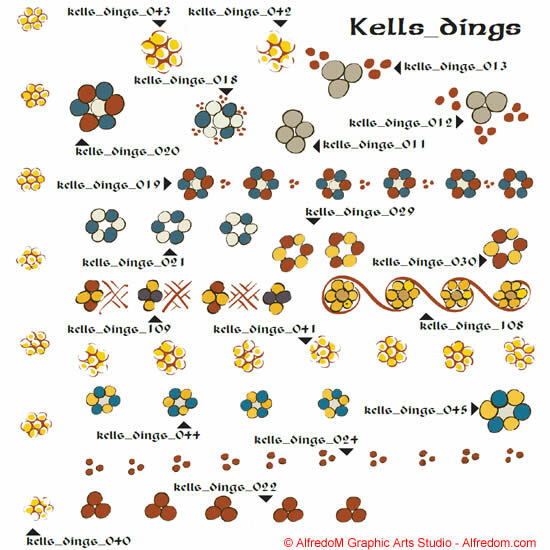 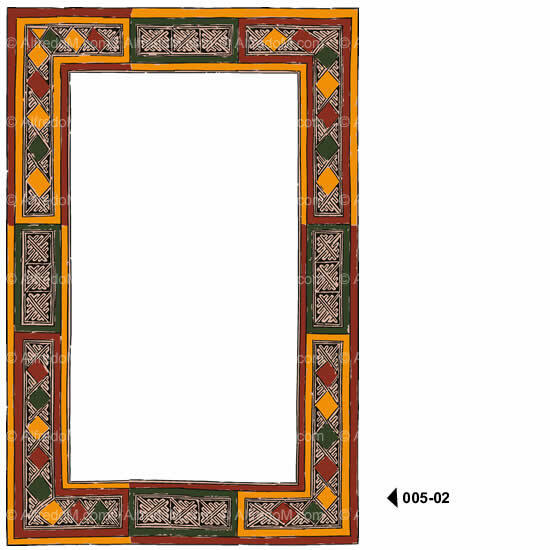 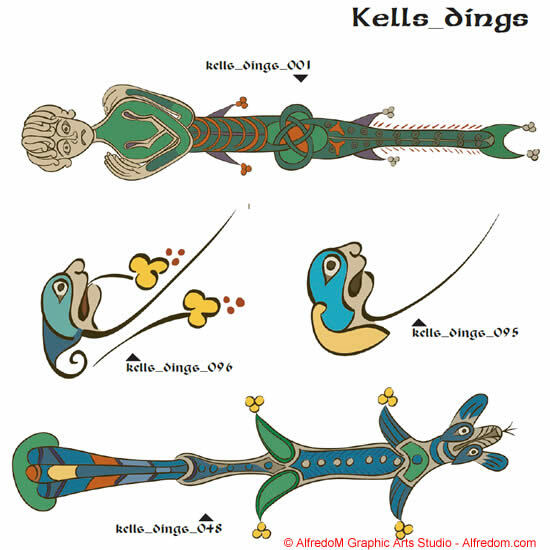 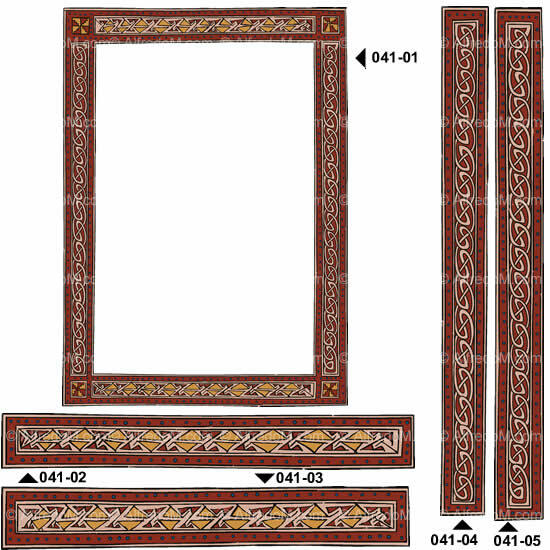 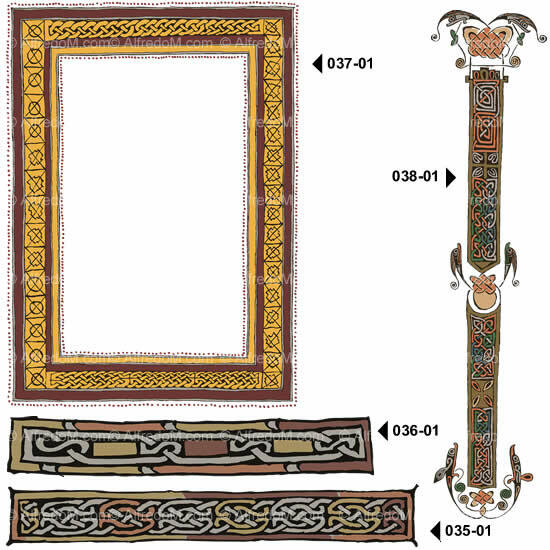 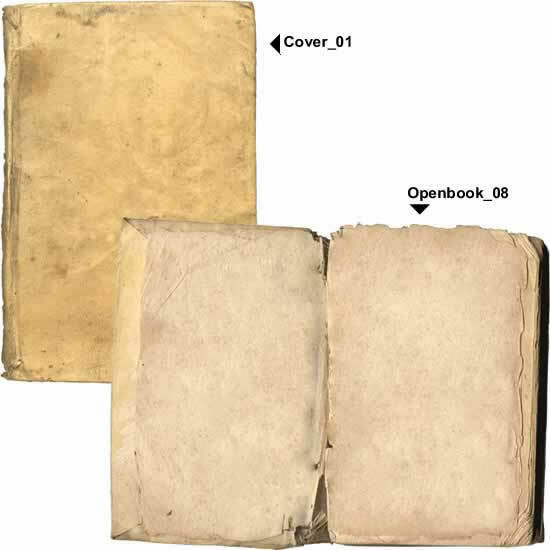 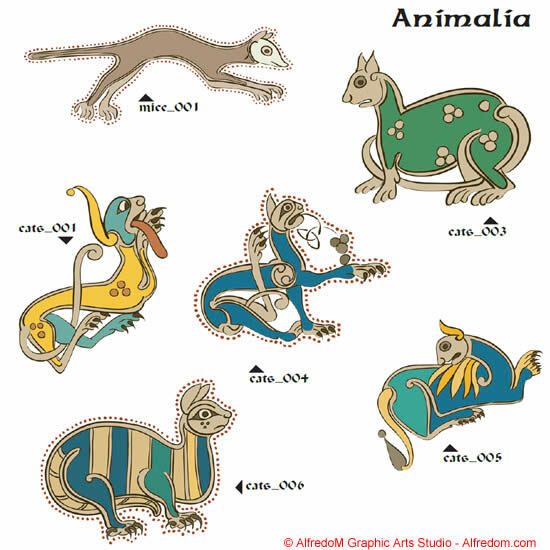 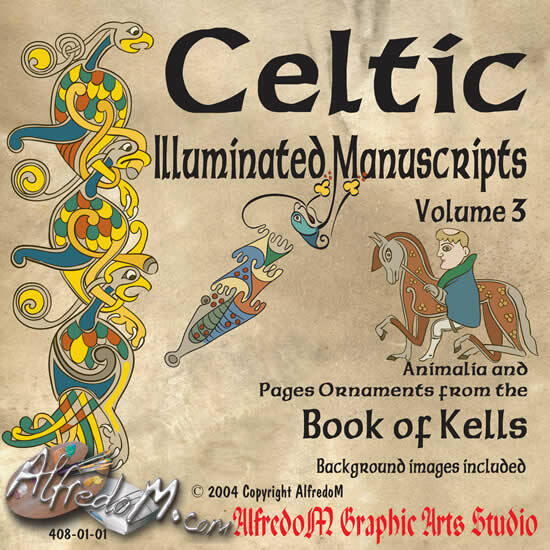 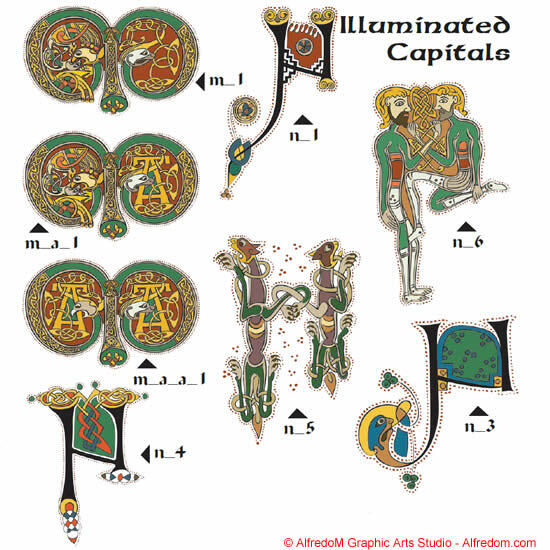 The Book of Kells, the Lindisfarne Gospels and many other manuscripts. 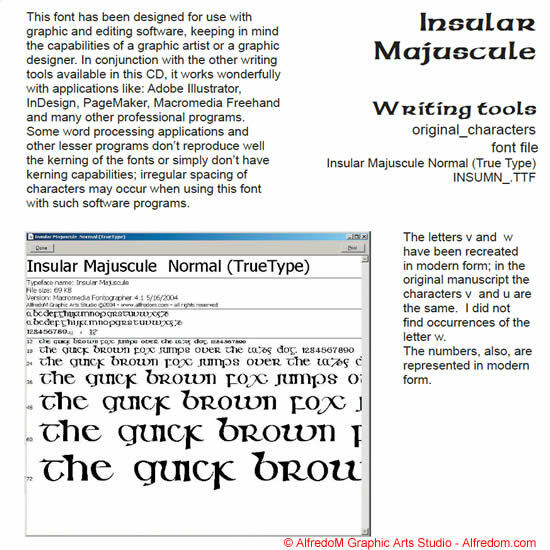 Border, Capital Letters, TTF font and more. 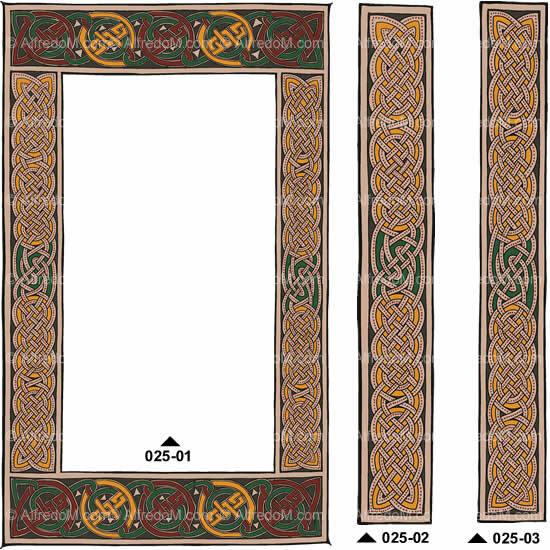 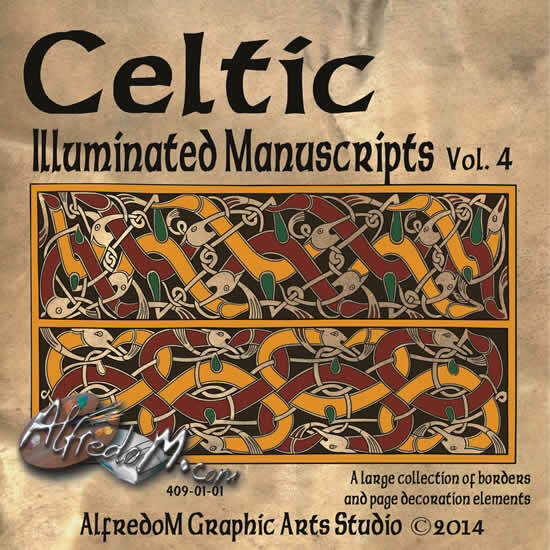 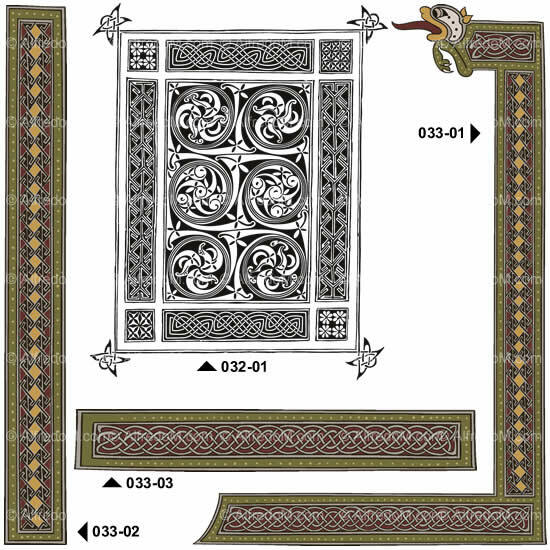 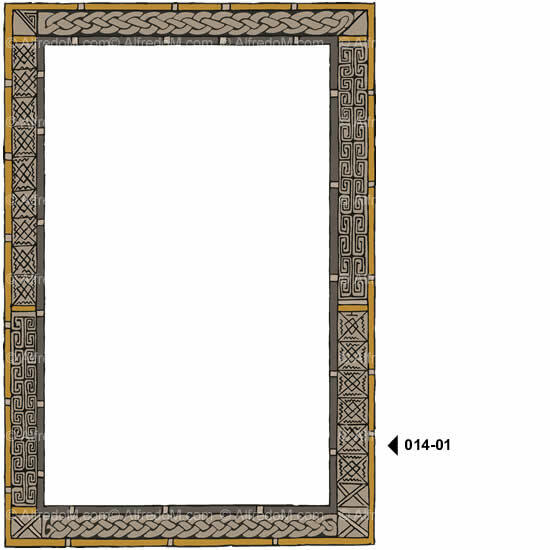 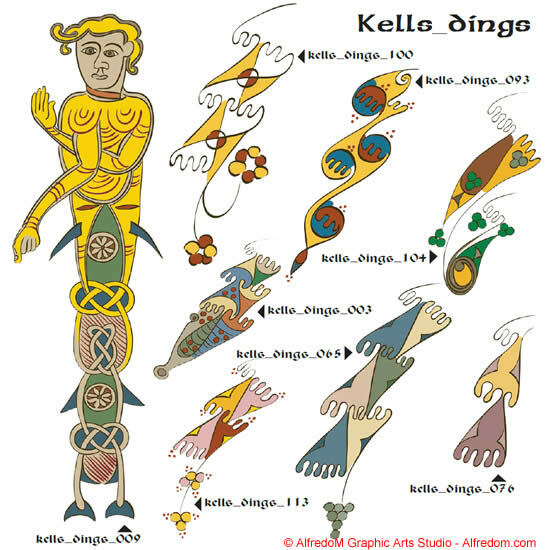 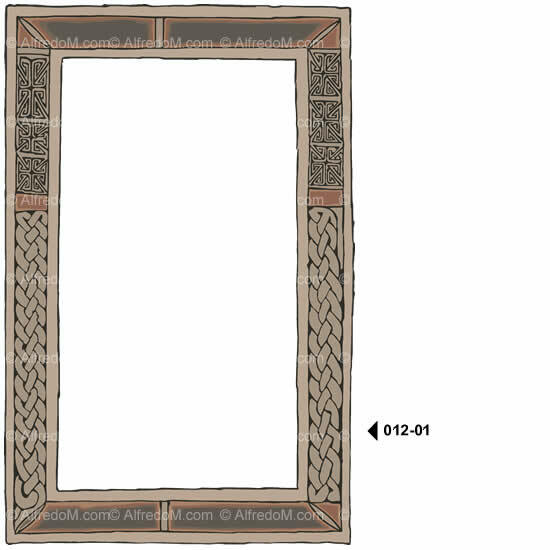 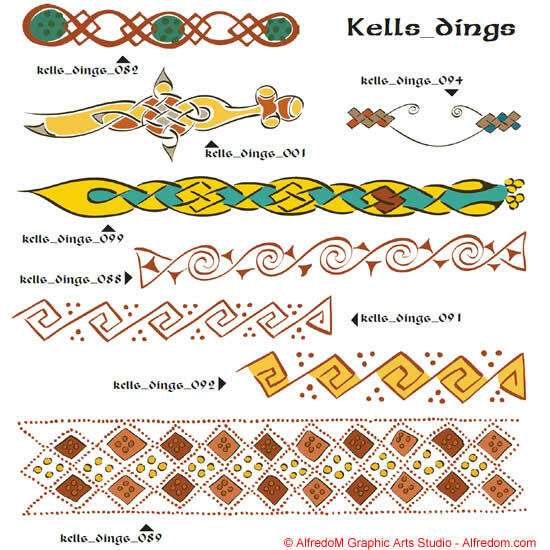 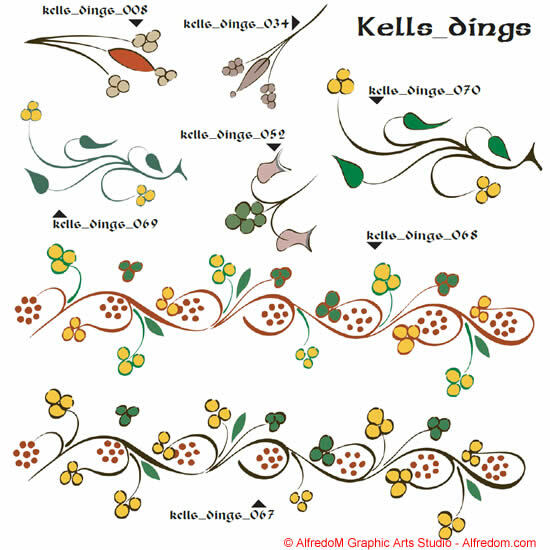 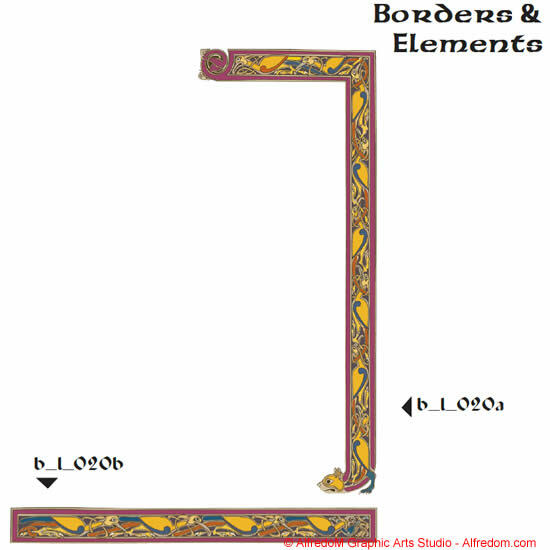 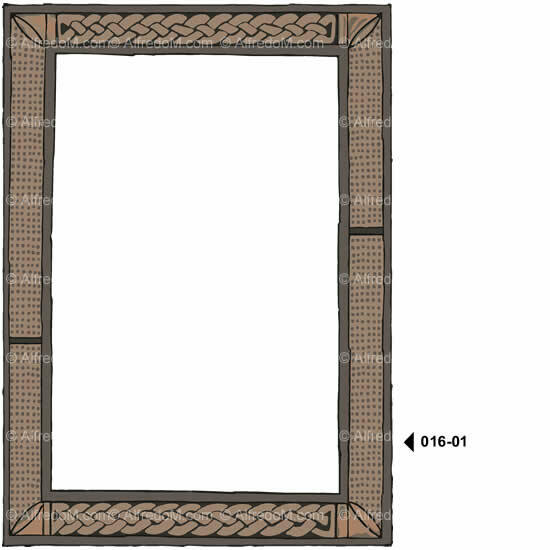 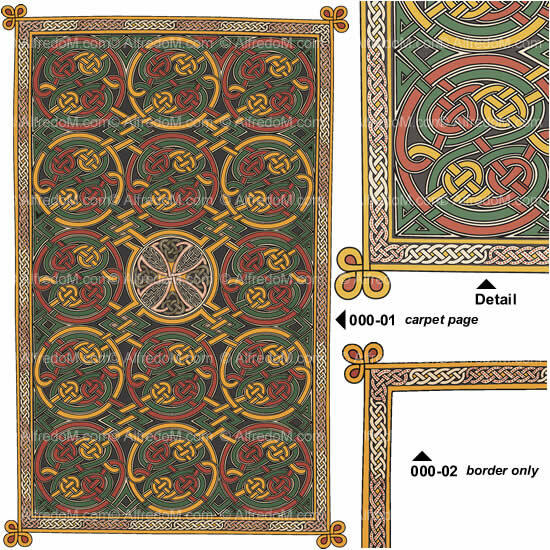 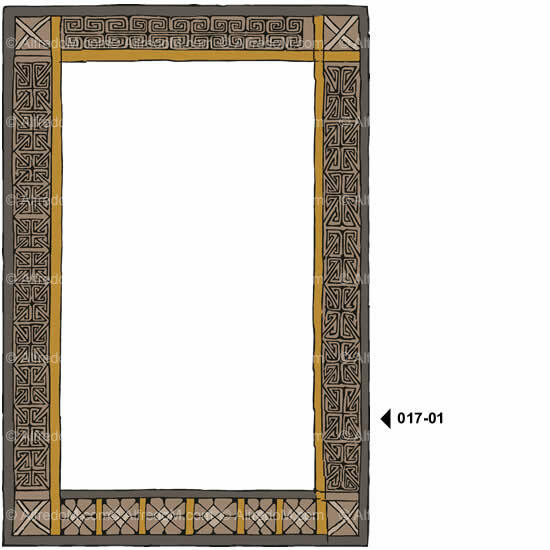 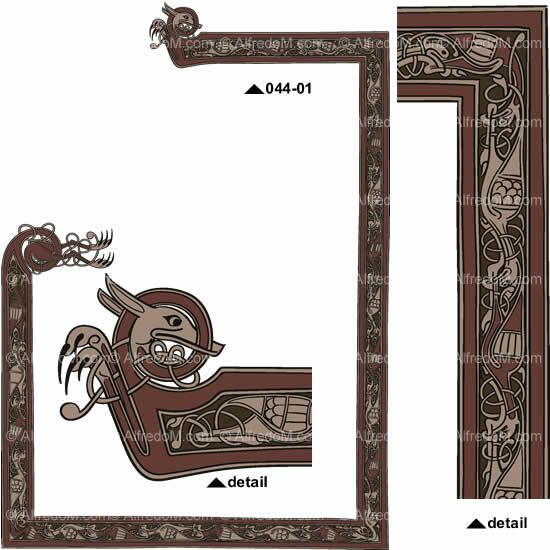 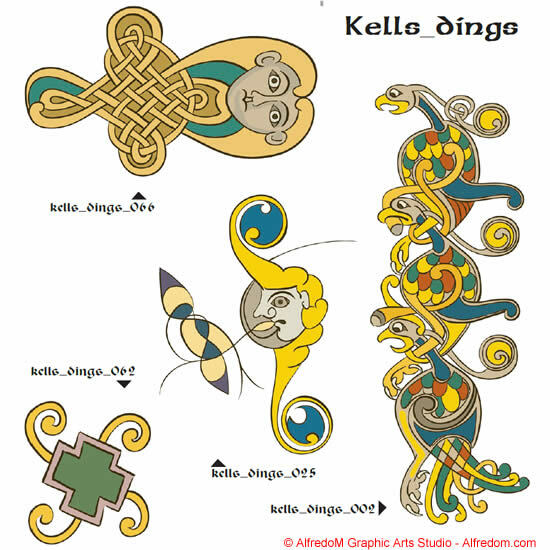 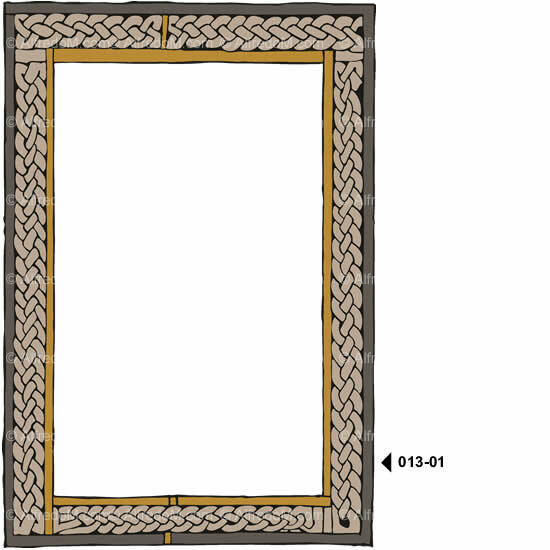 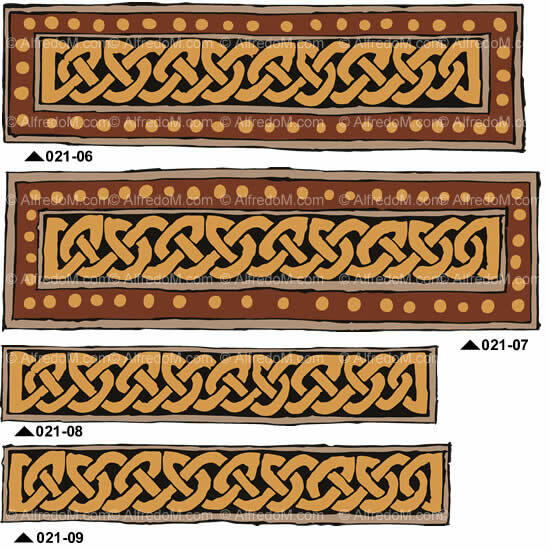 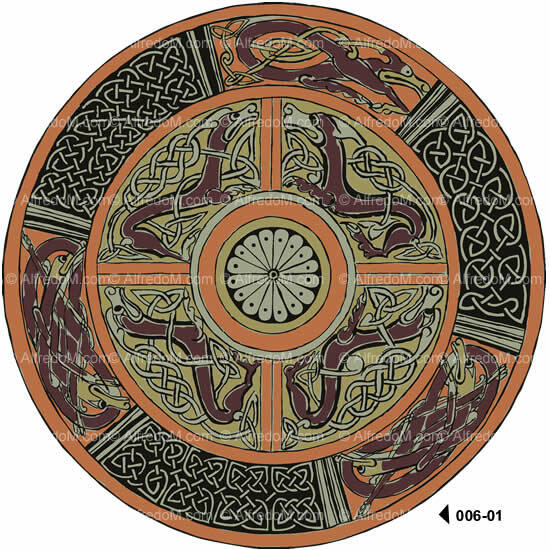 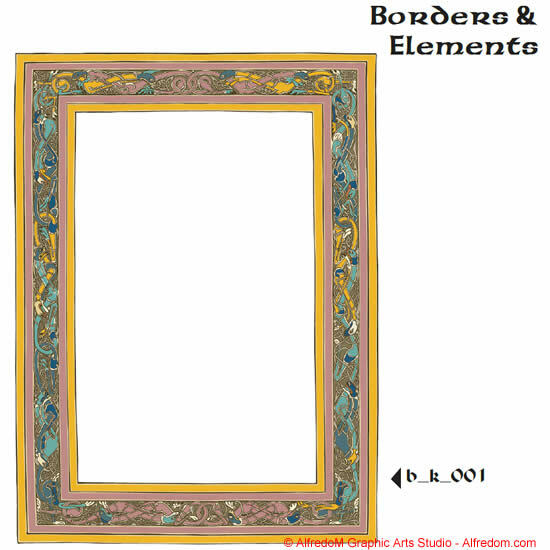 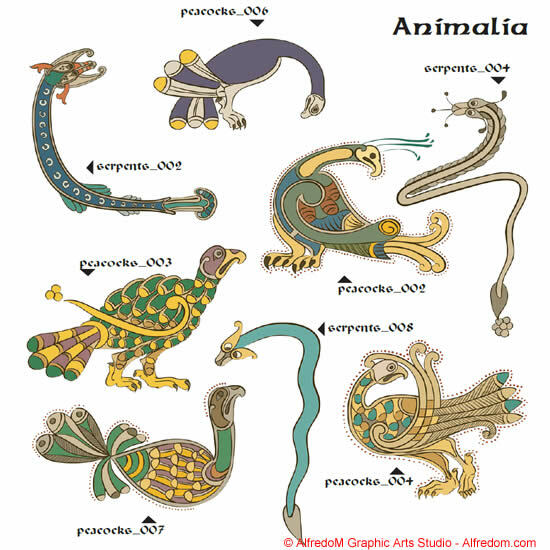 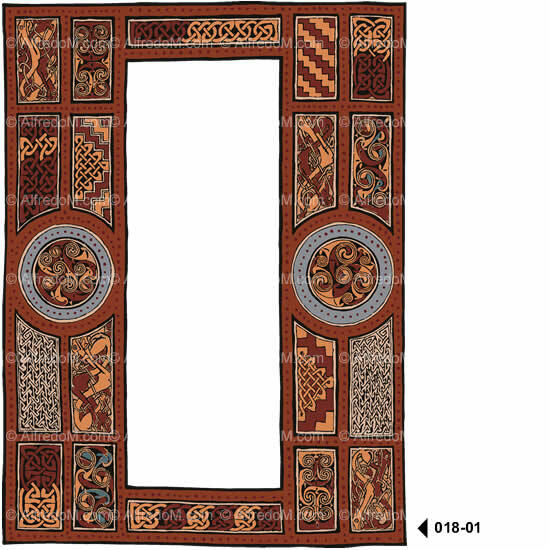 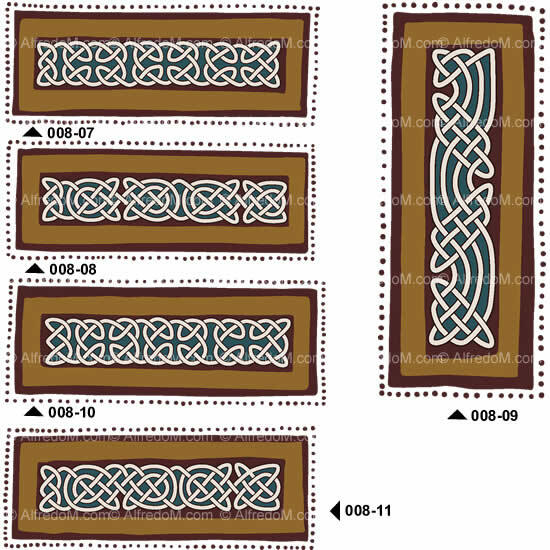 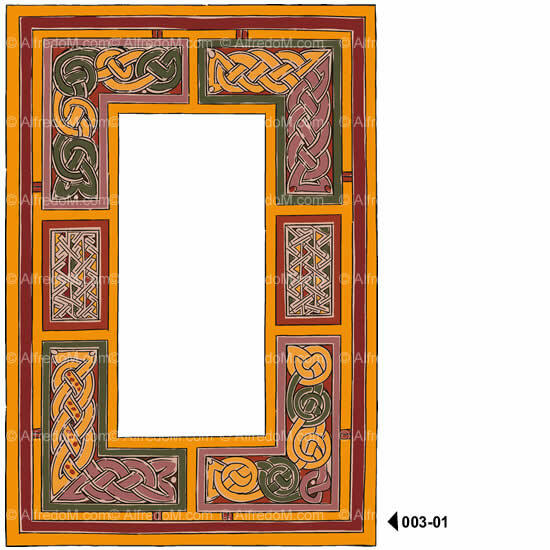 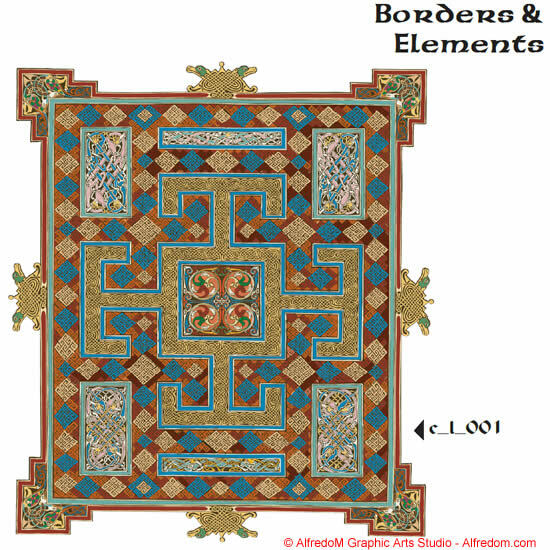 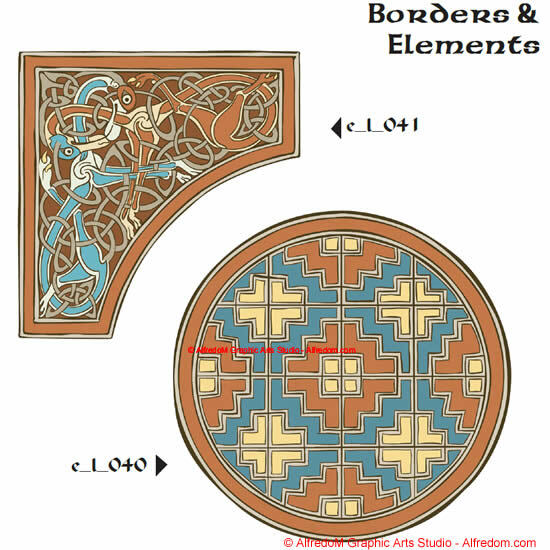 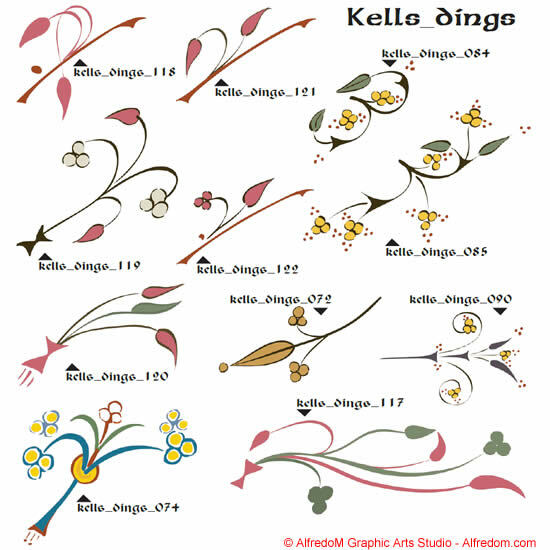 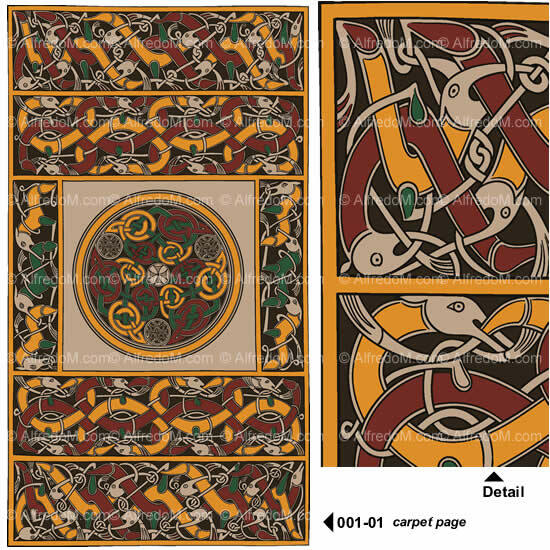 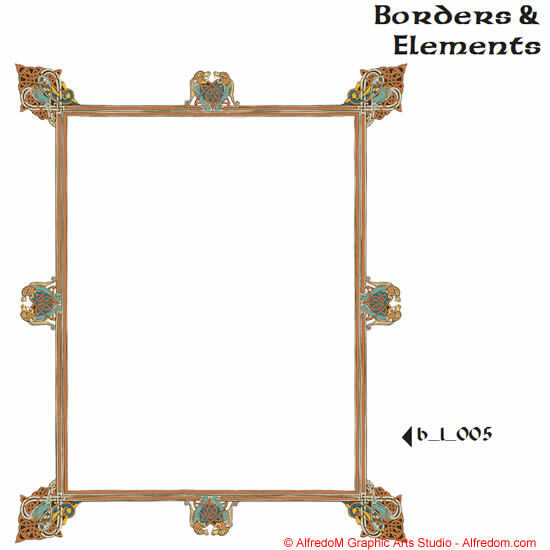 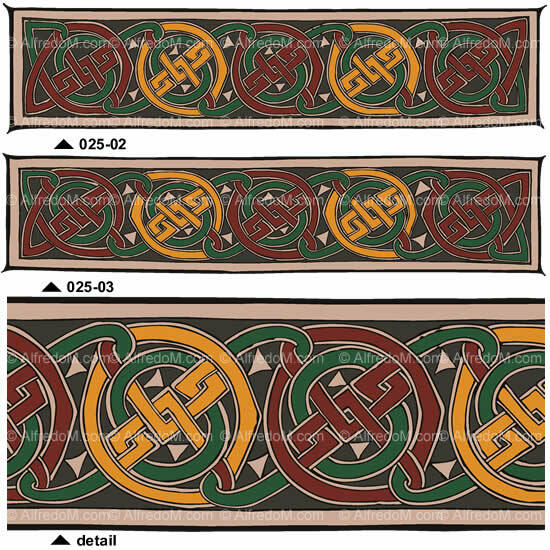 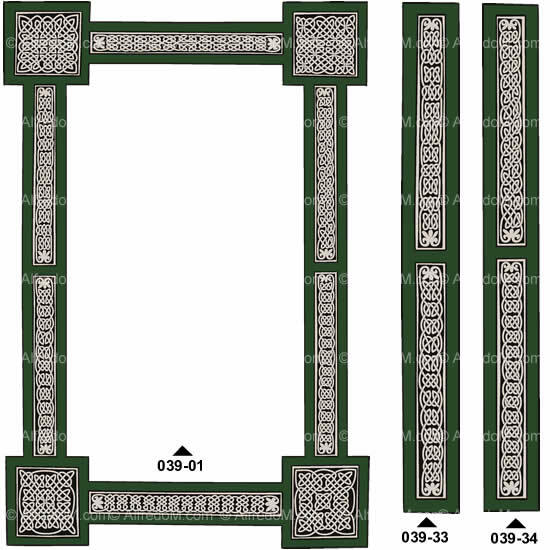 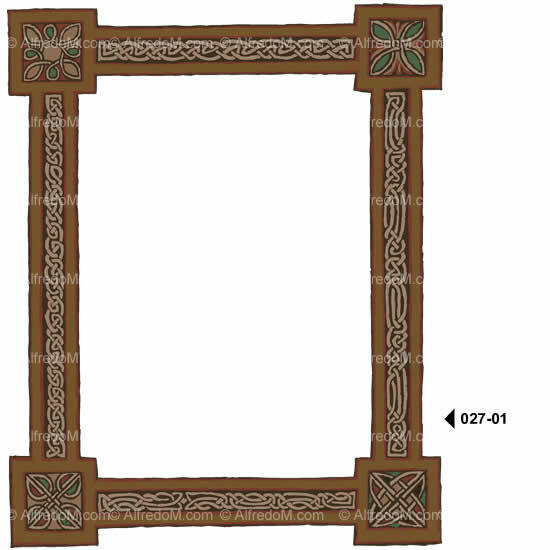 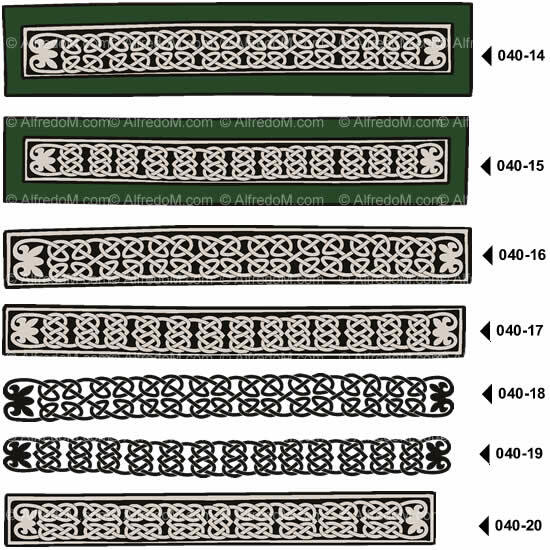 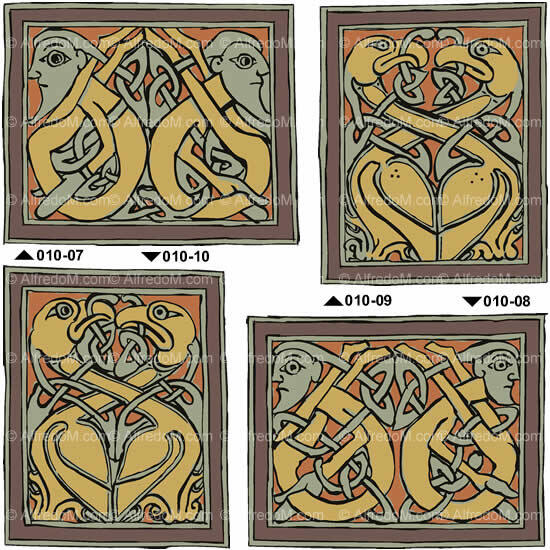 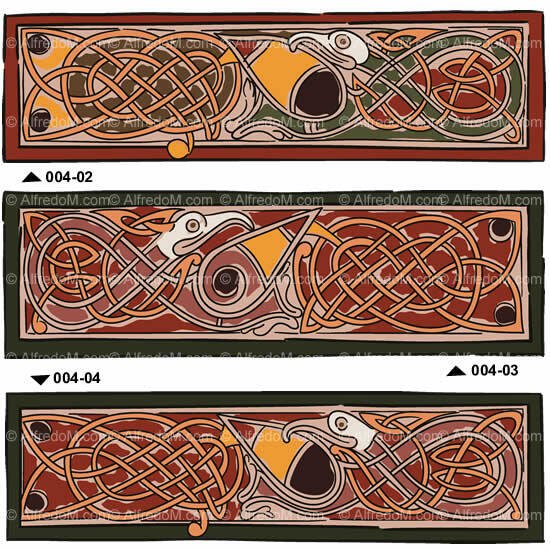 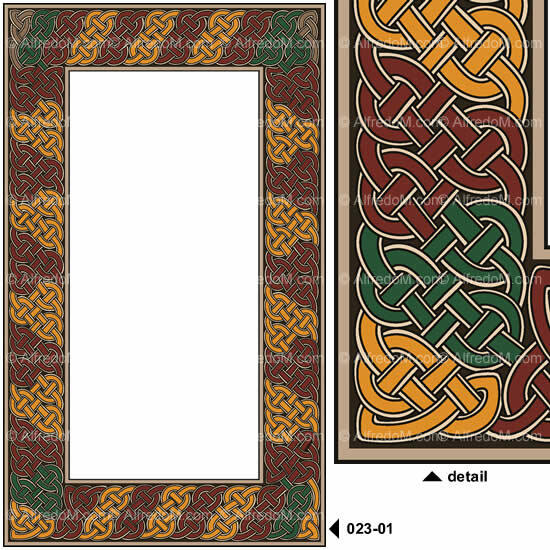 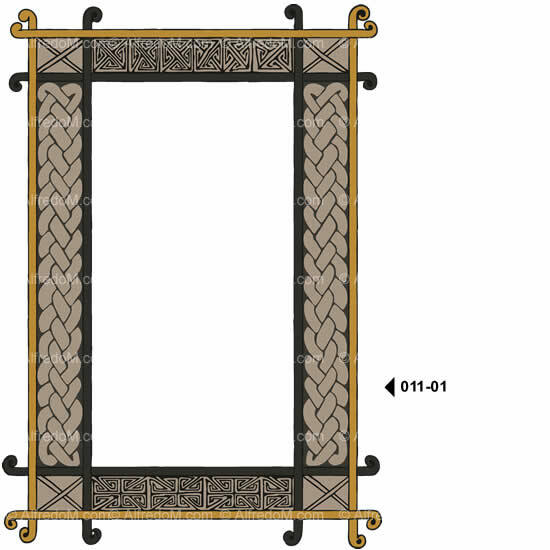 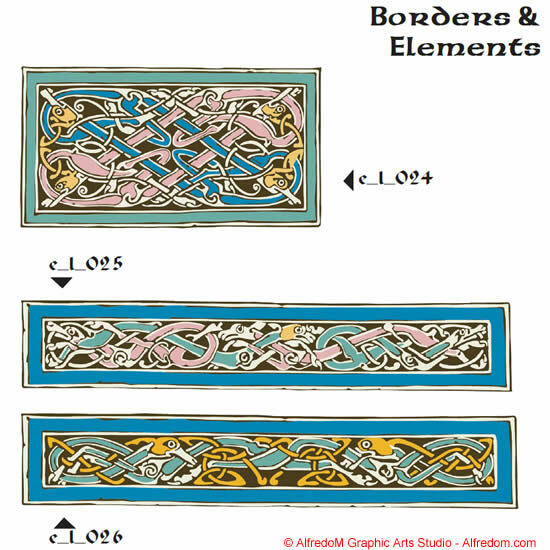 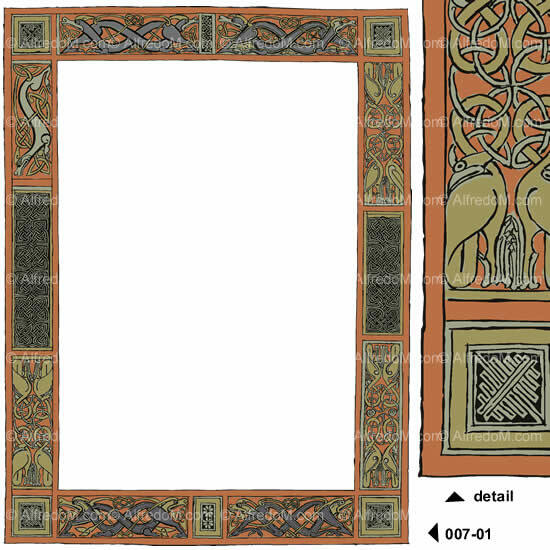 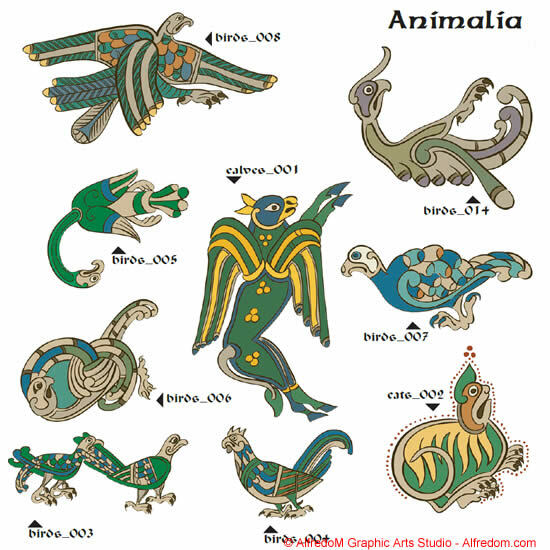 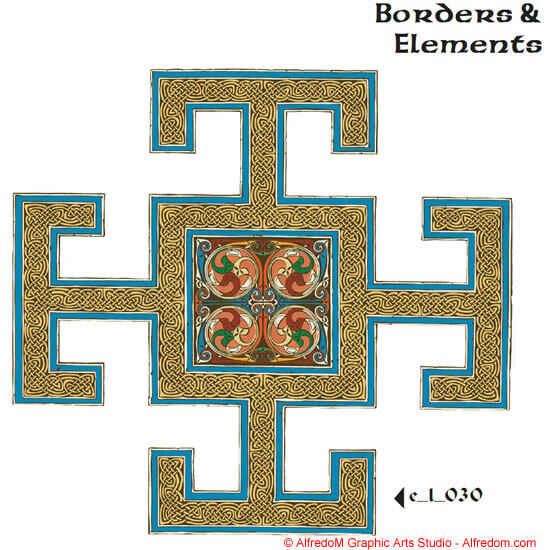 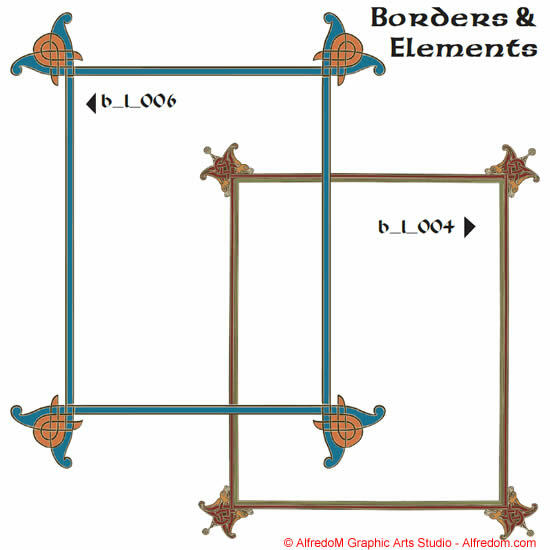 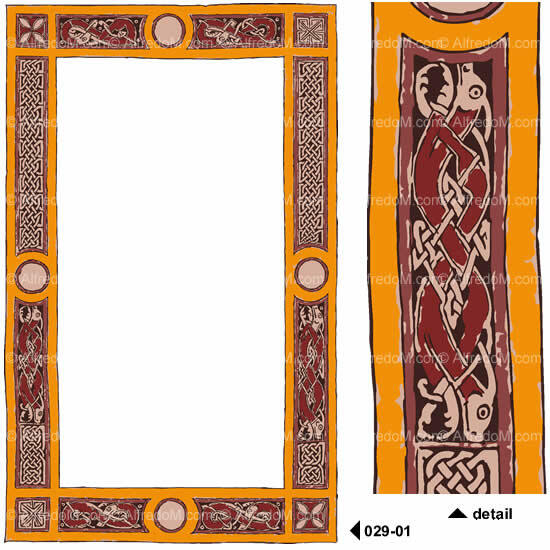 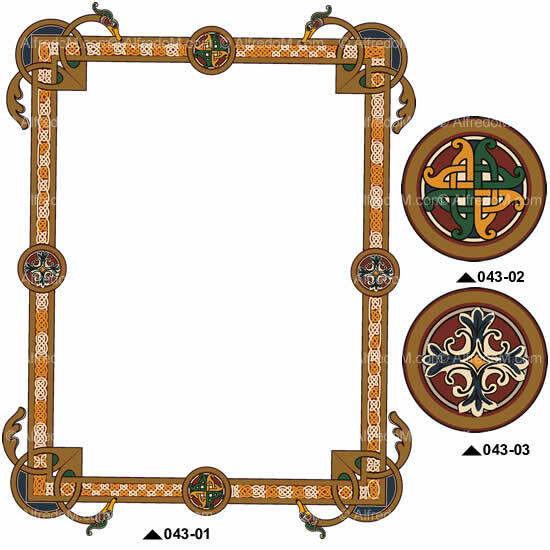 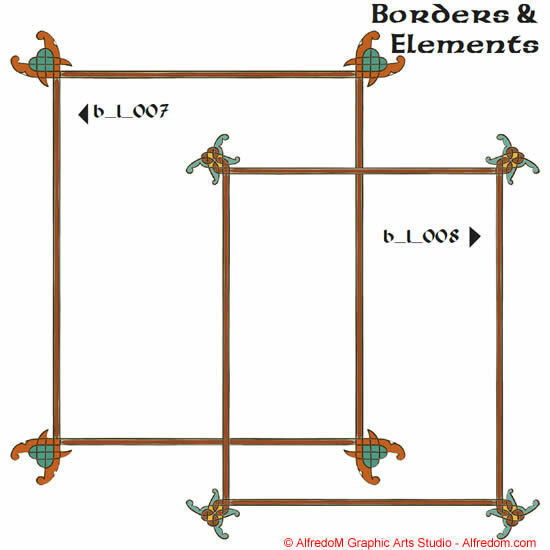 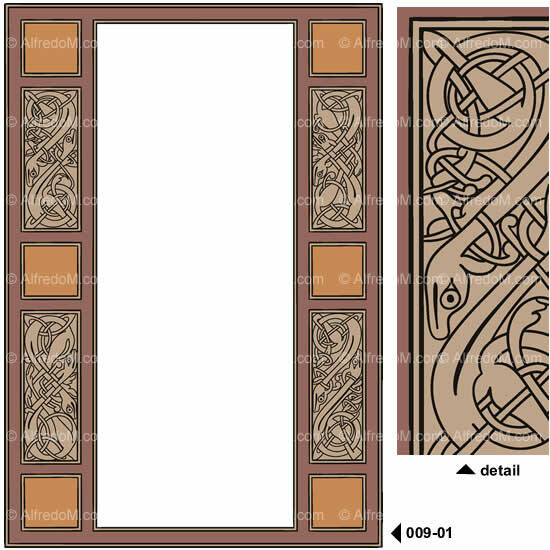 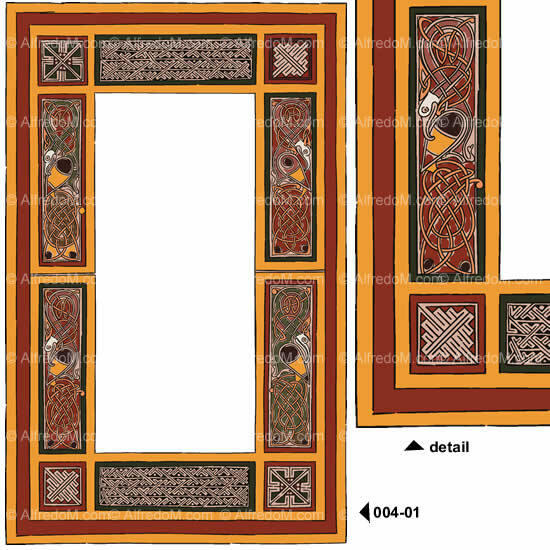 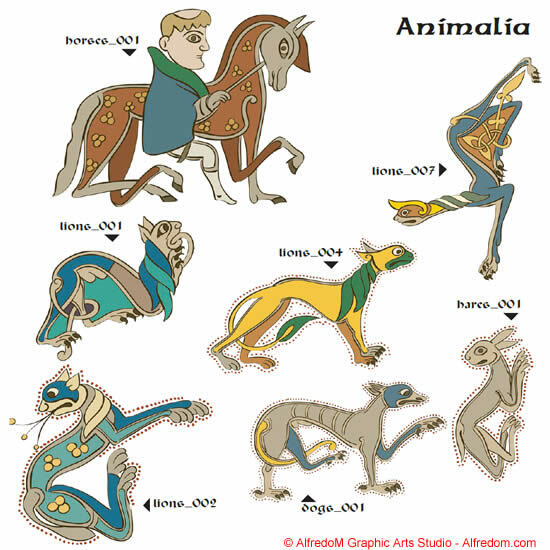 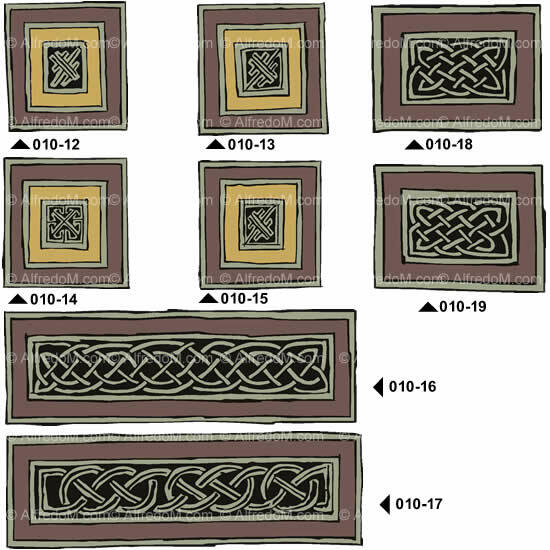 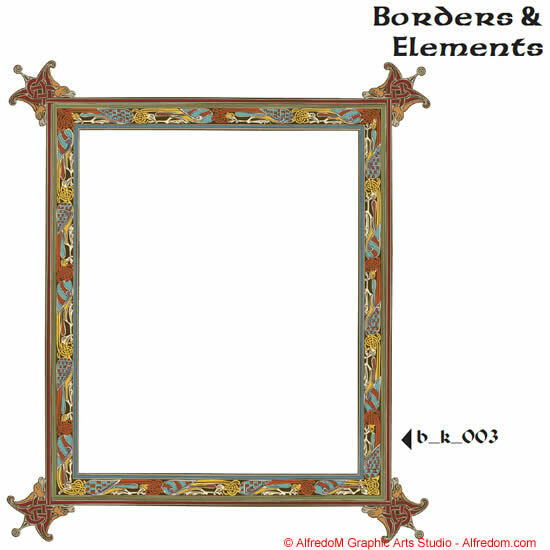 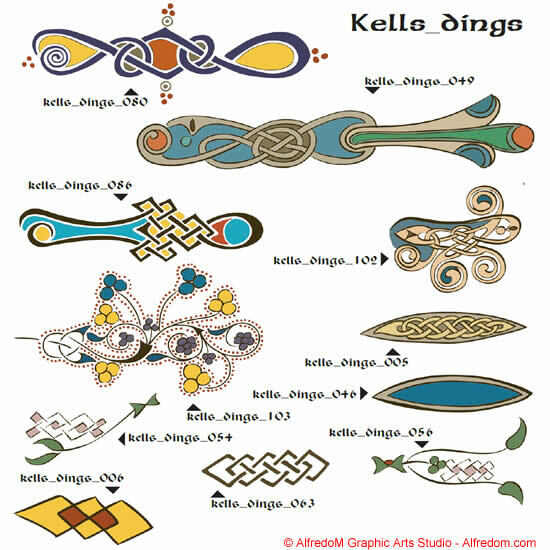 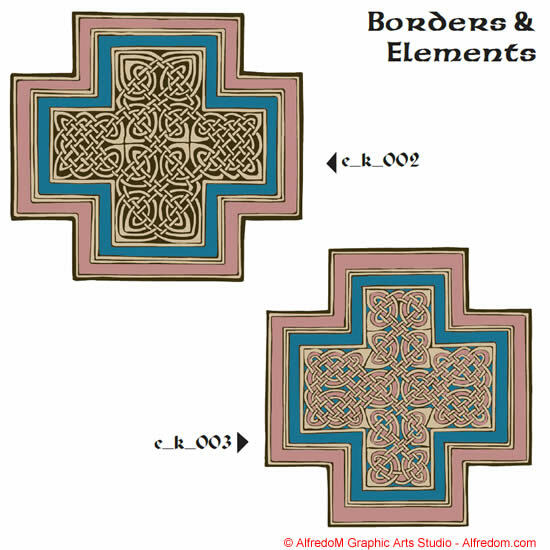 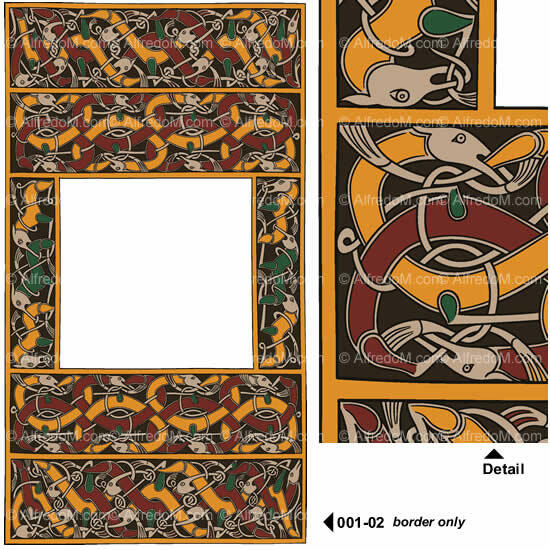 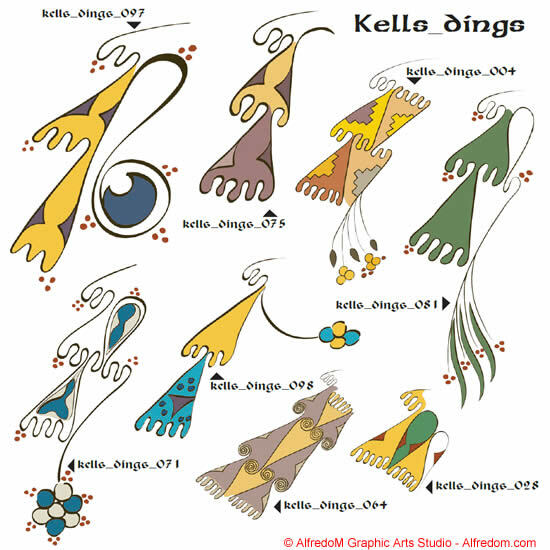 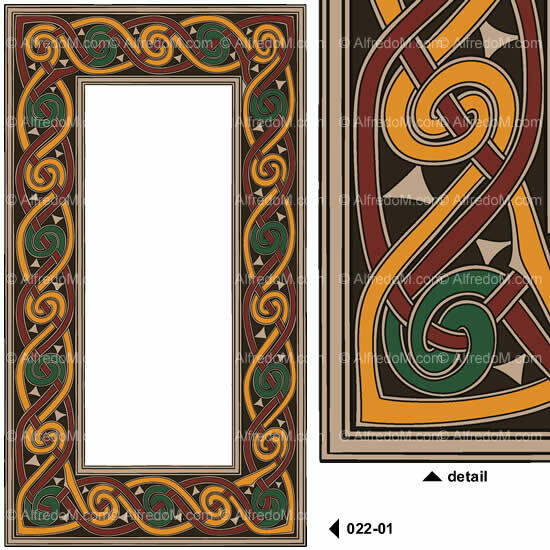 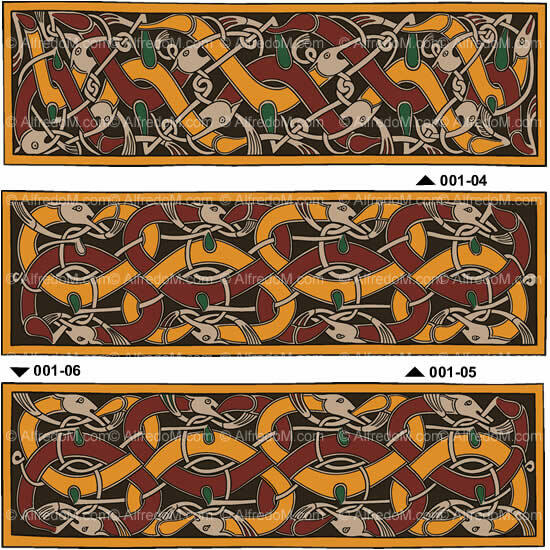 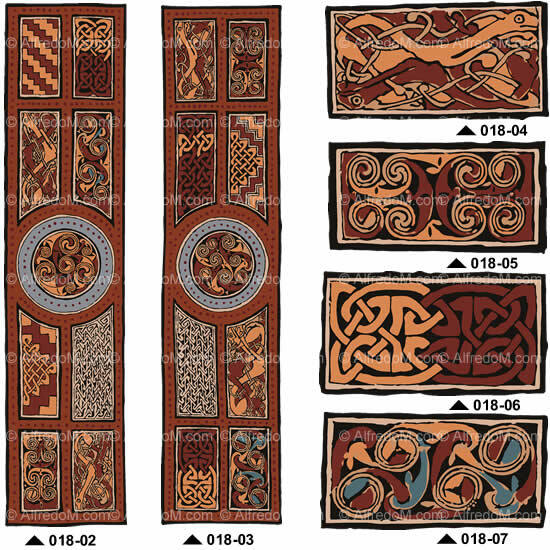 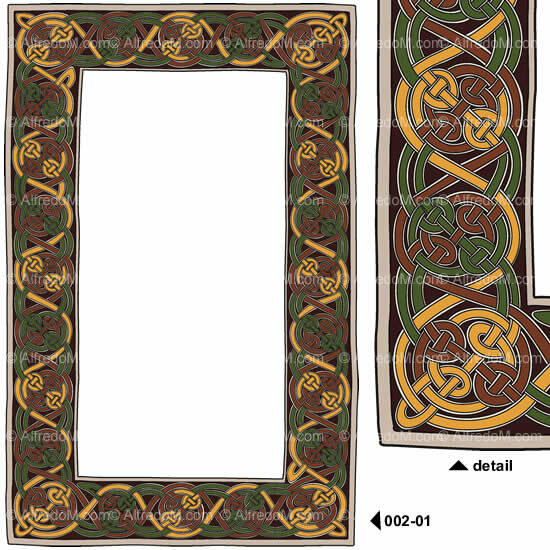 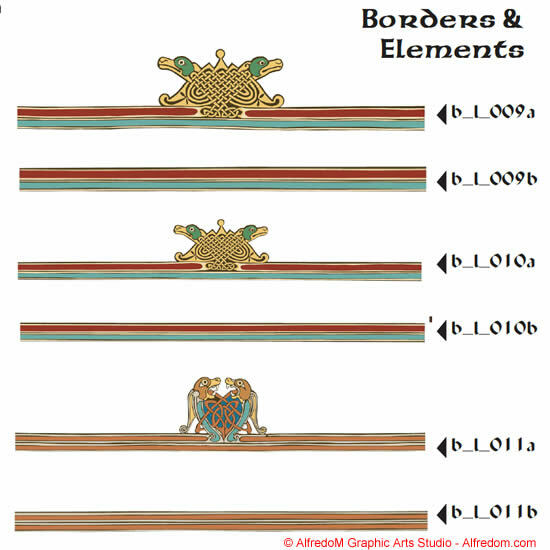 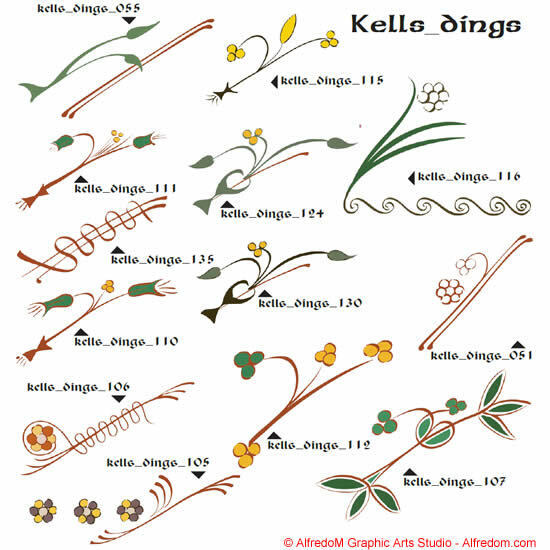 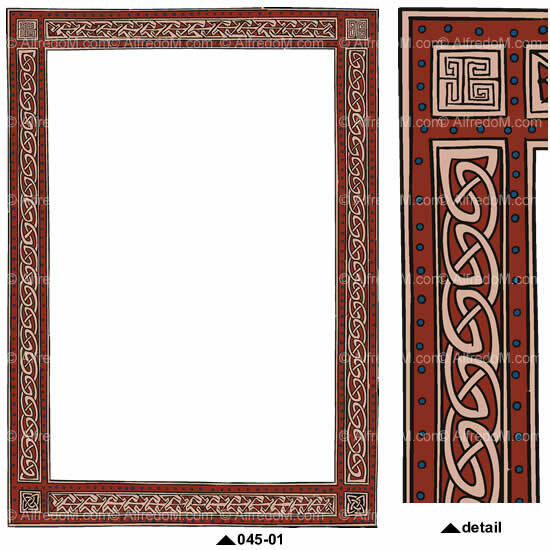 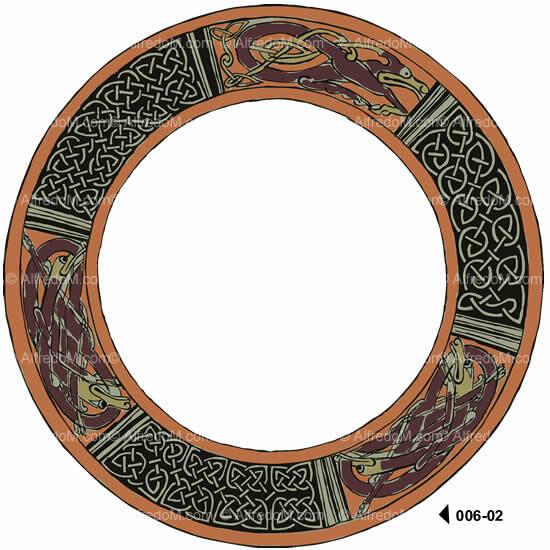 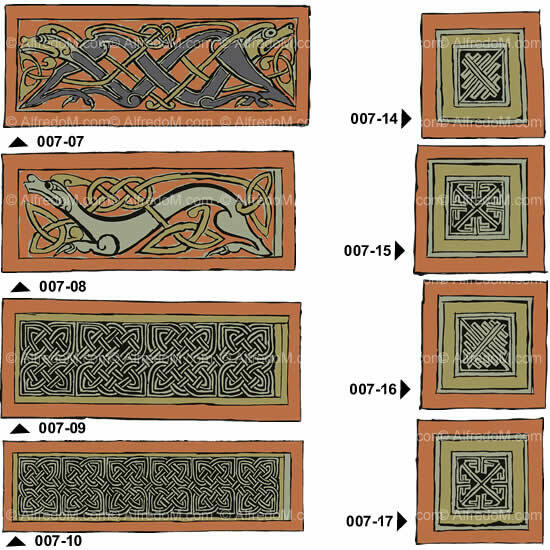 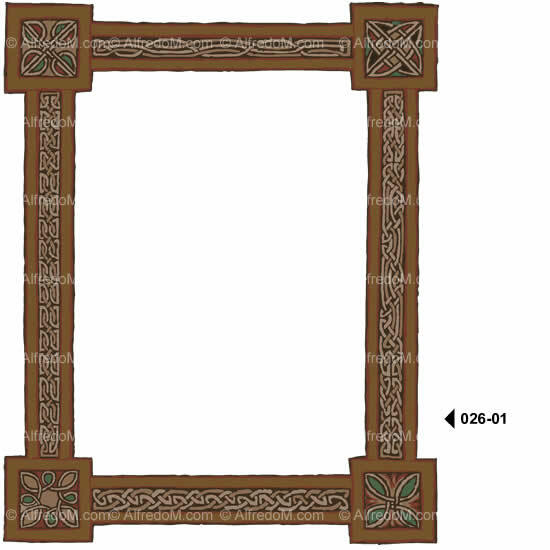 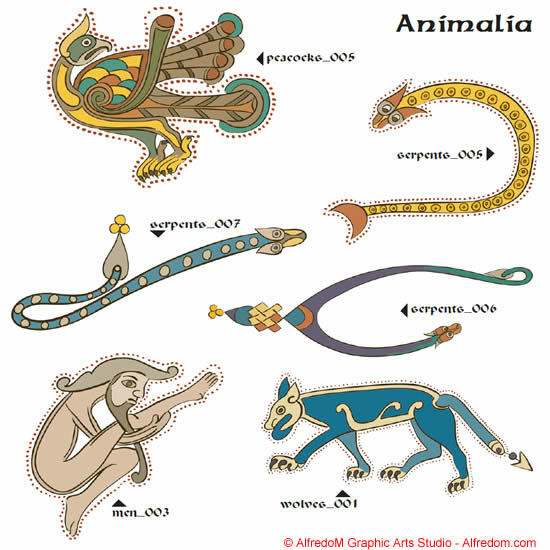 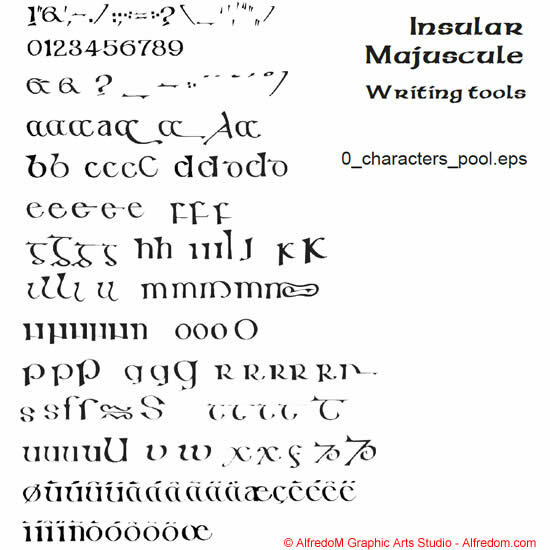 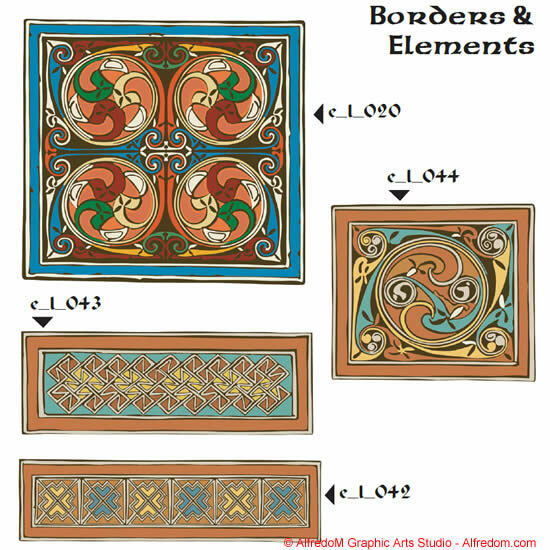 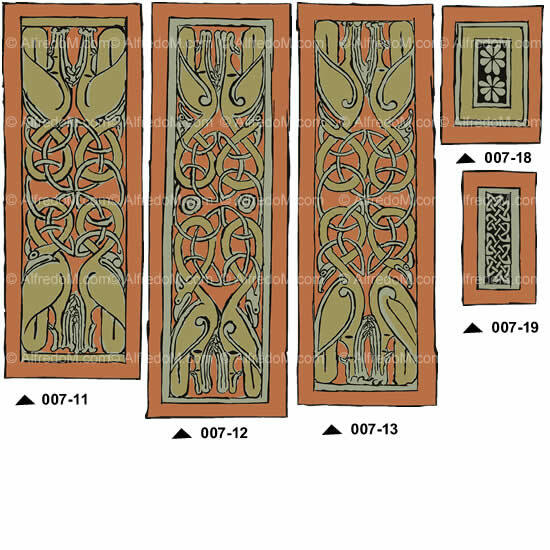 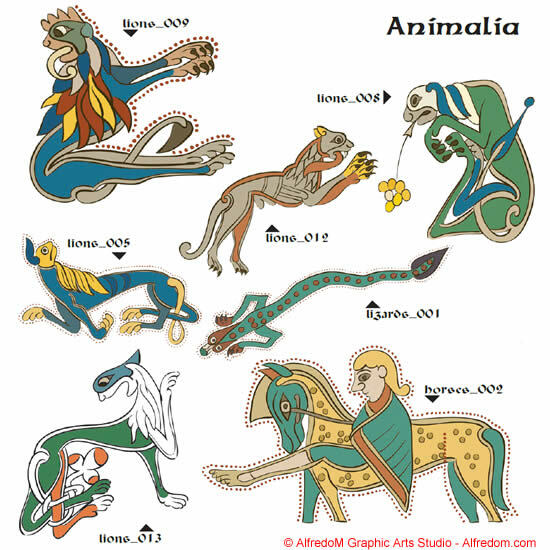 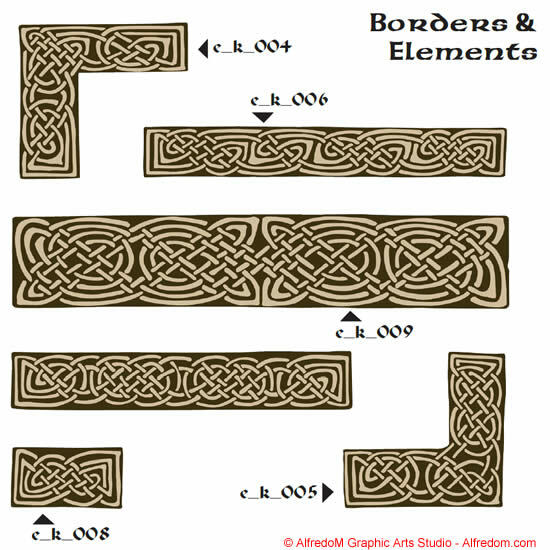 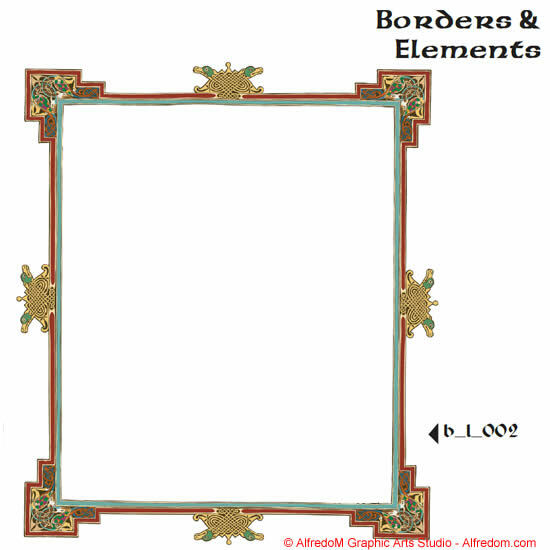 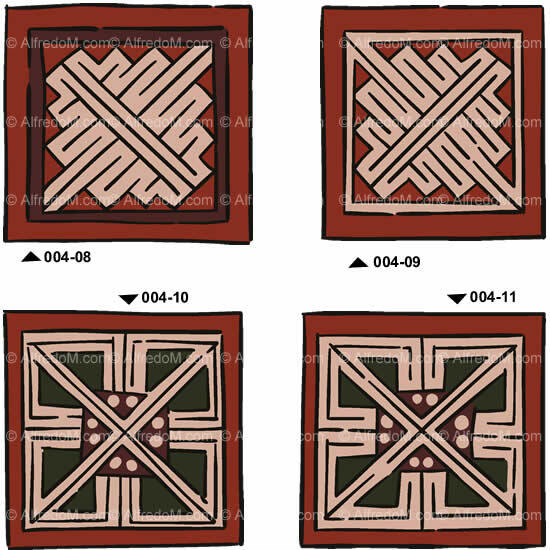 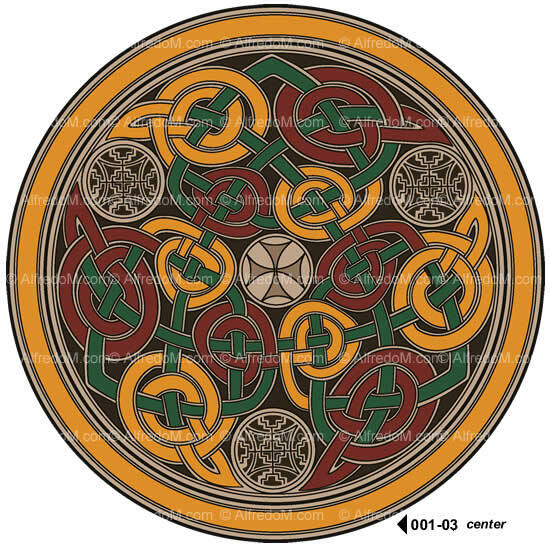 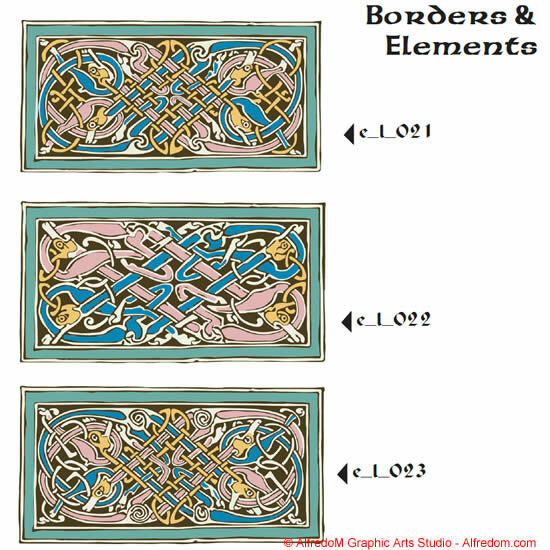 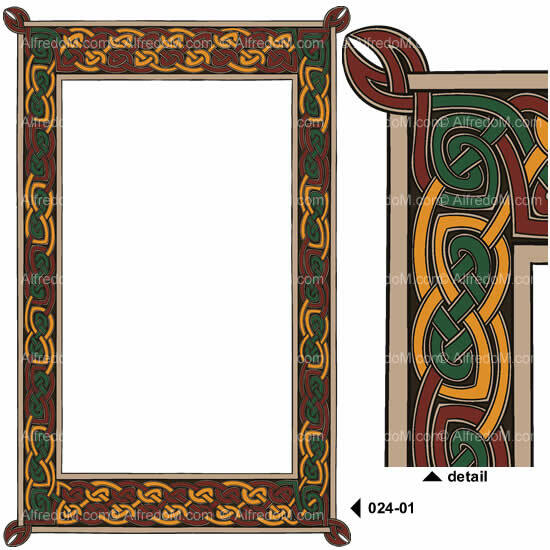 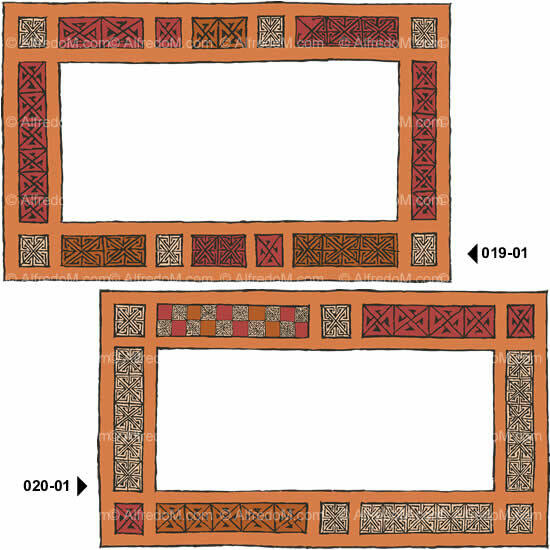 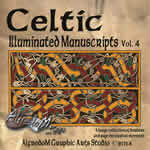 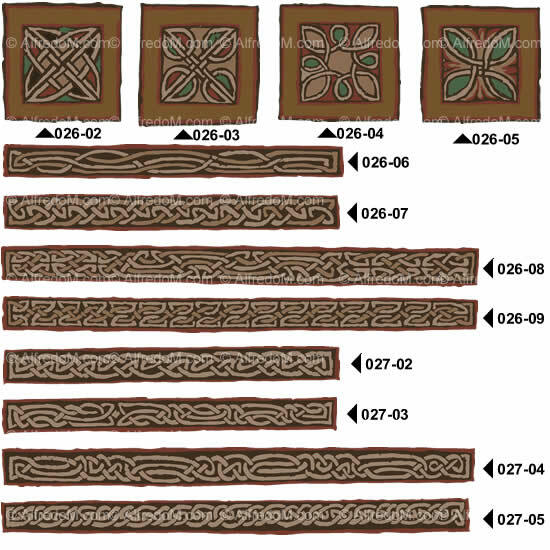 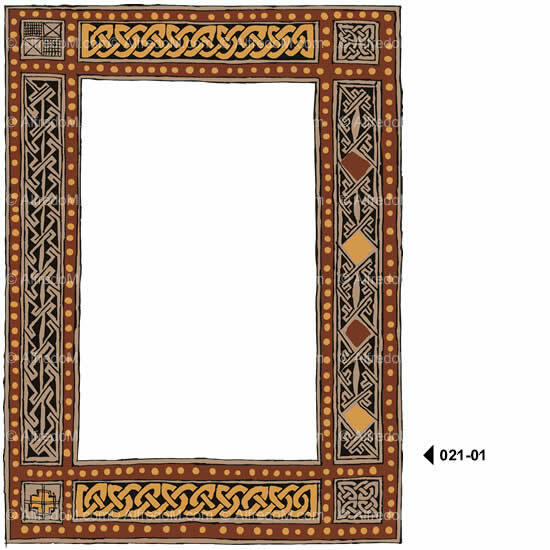 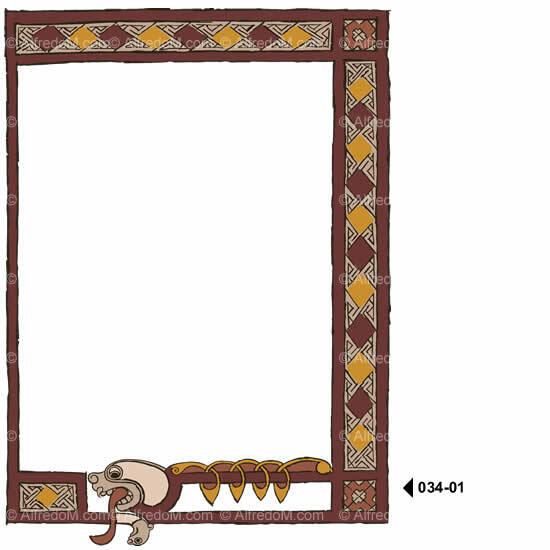 This sample image is not from an ancient Irish manuscript; it has been created using the clip art drawings from the first 3 volumes of our Celtic Manuscripts Collection and the parchment background image included in each instant download. 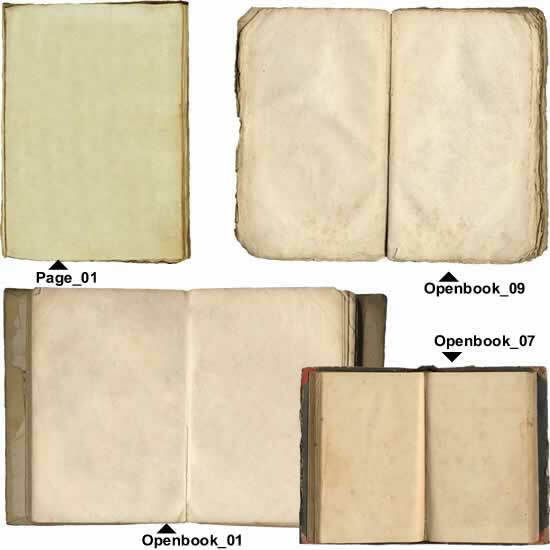 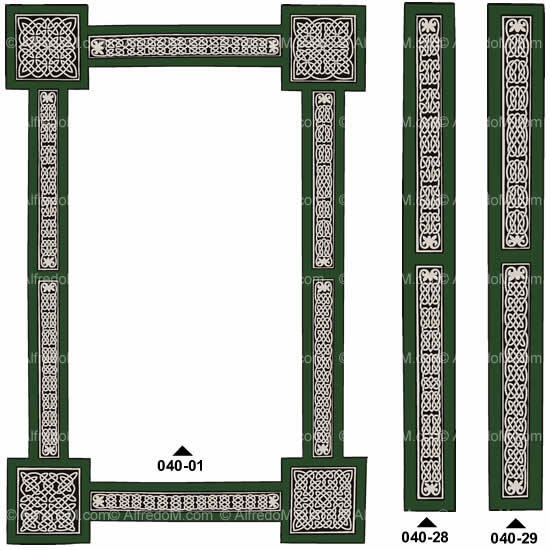 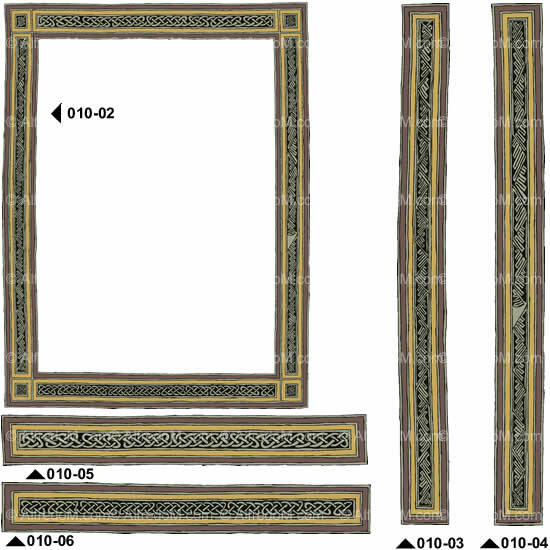 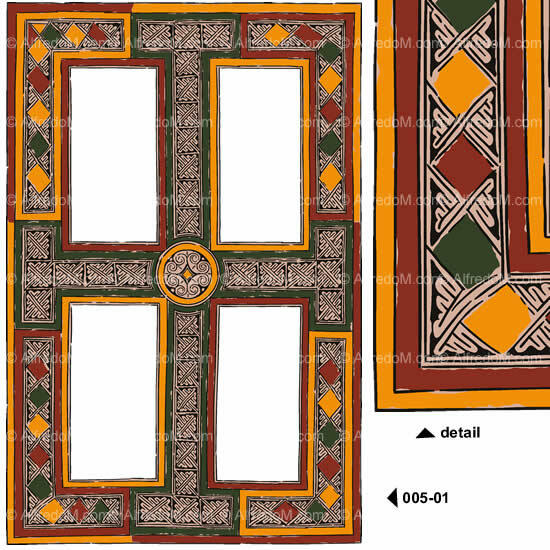 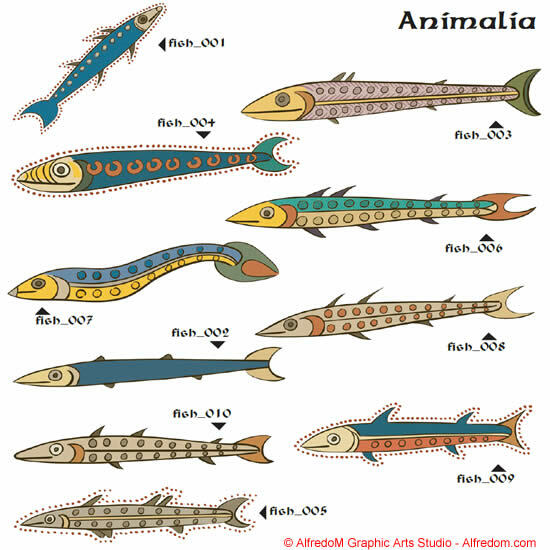 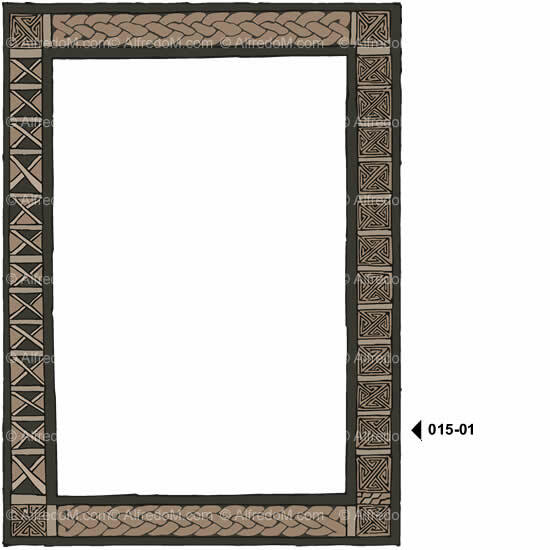 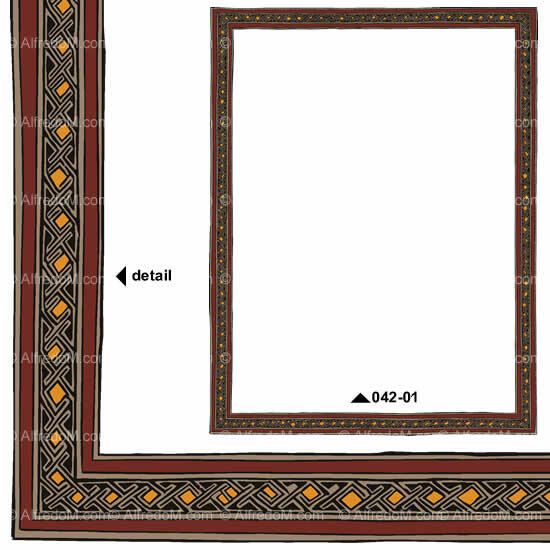 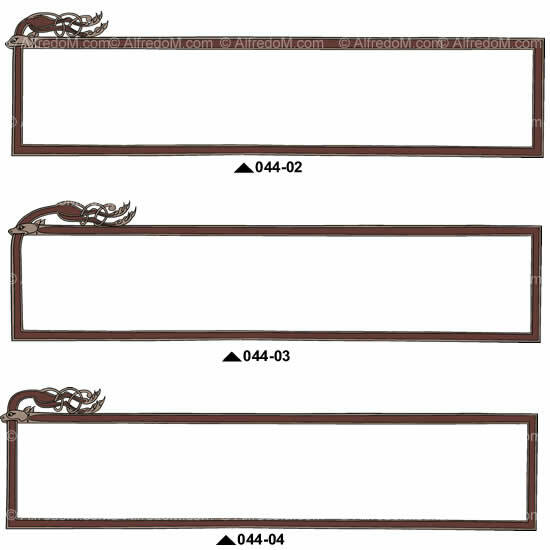 We cannot represent here the quality and the sharpness of the image because the it would take forever to download the page and the image has been highly compressed. 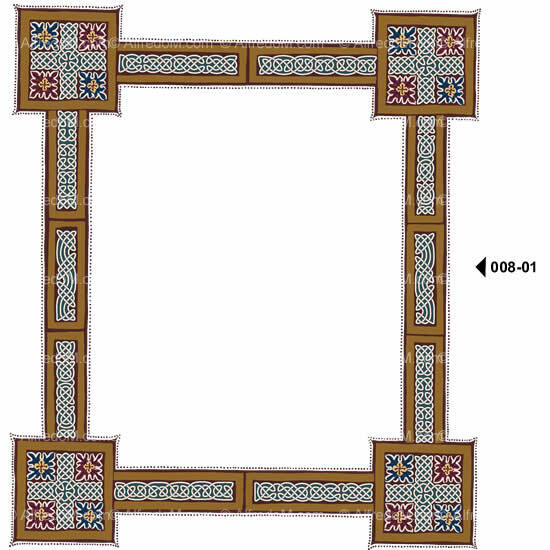 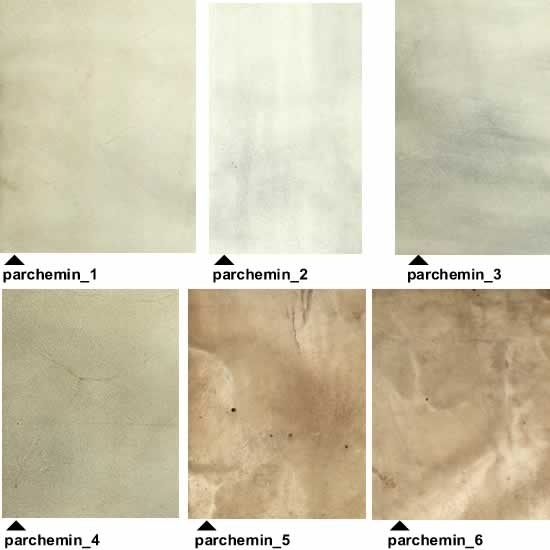 However, to verify the quality of our images there are sample eps and wmf images that can be downloaded from the free evaluation download area. 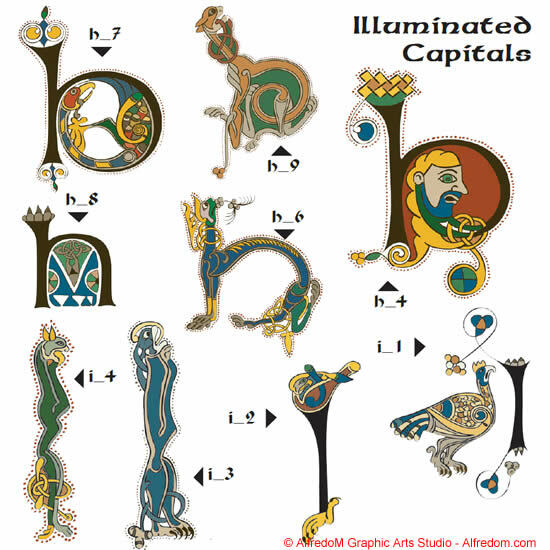 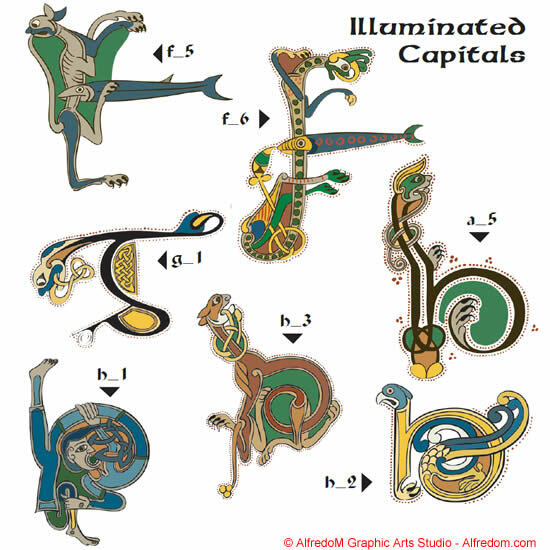 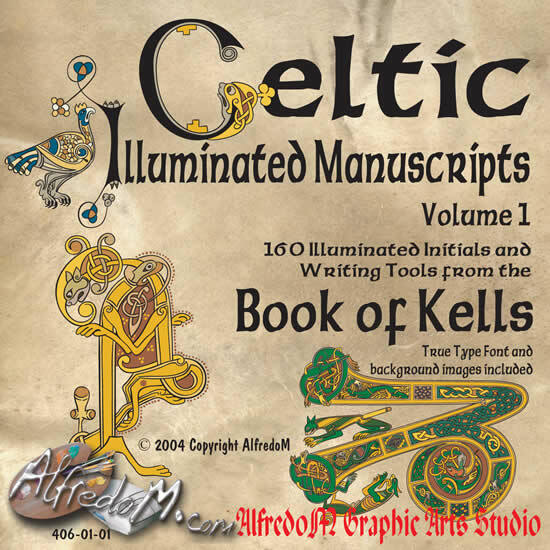 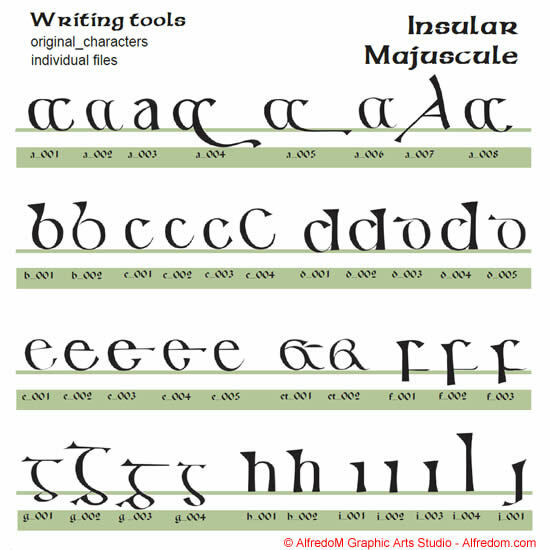 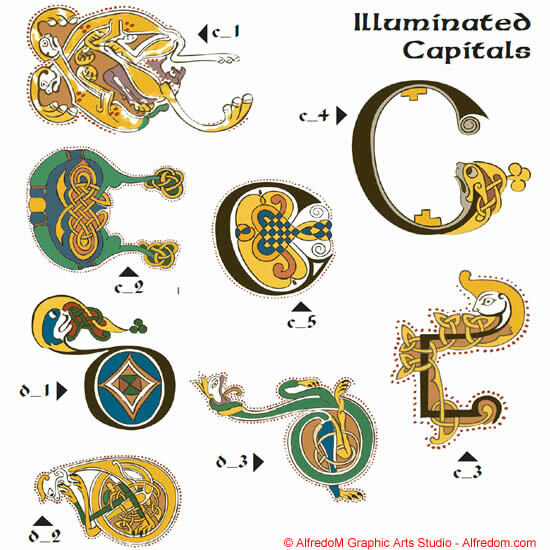 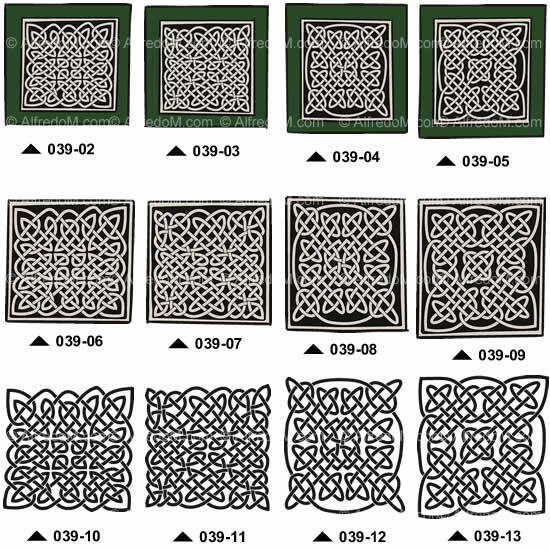 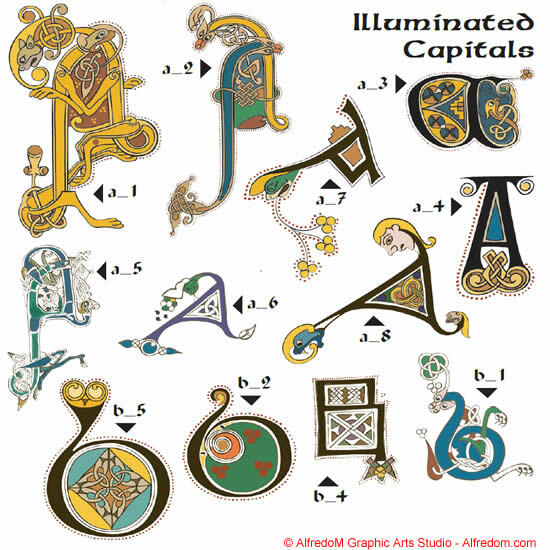 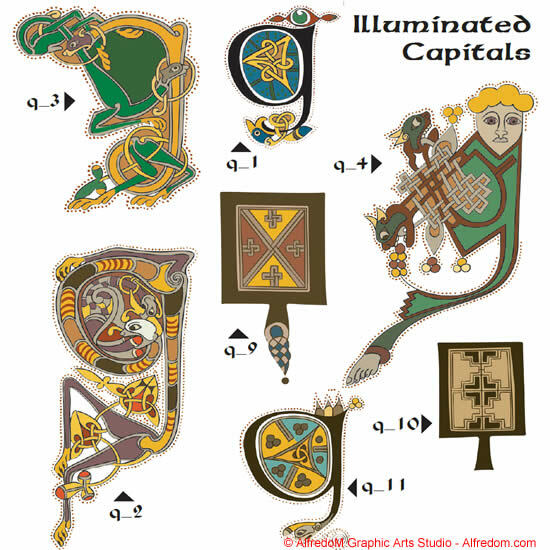 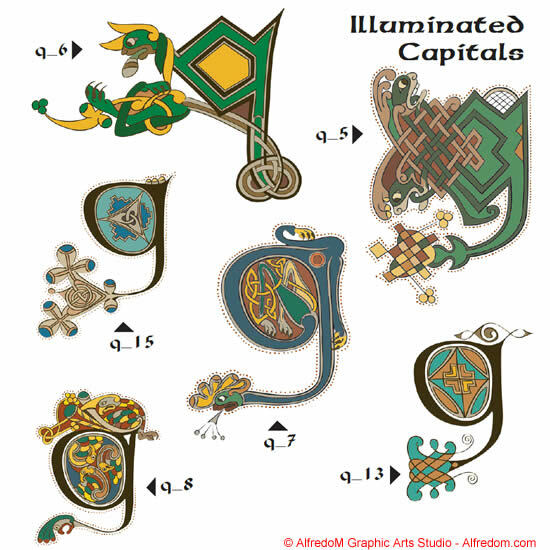 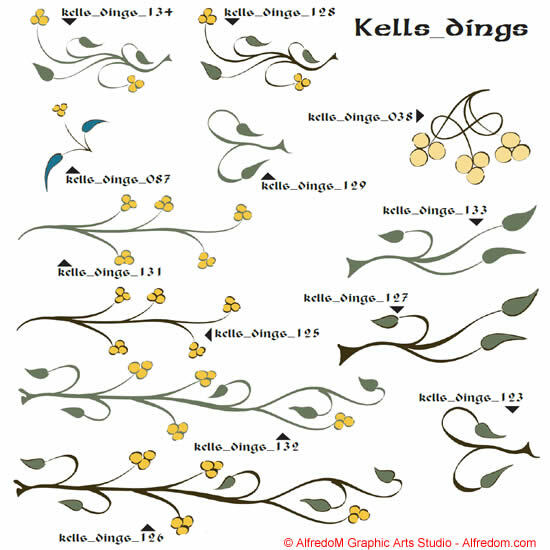 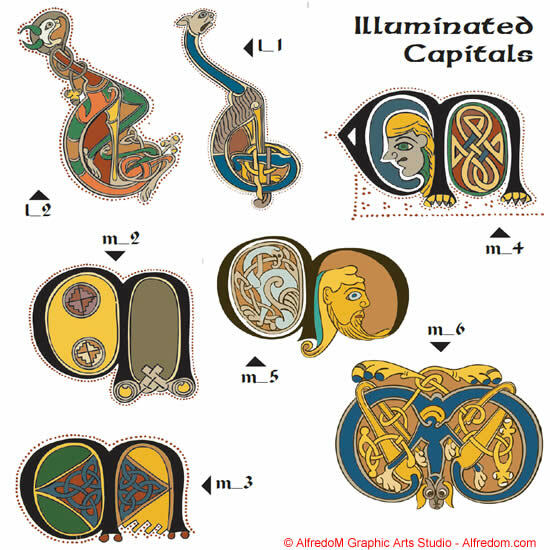 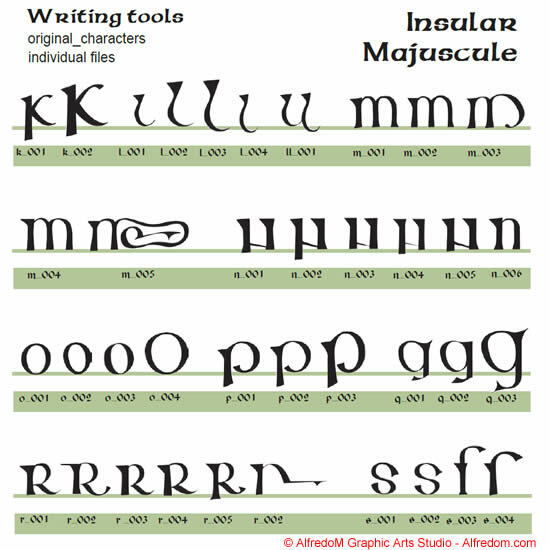 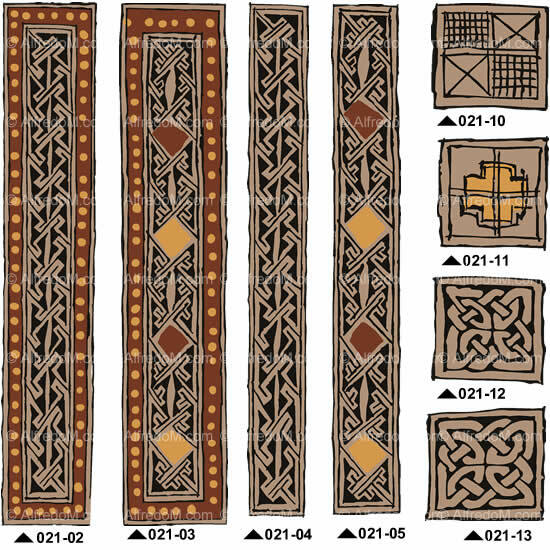 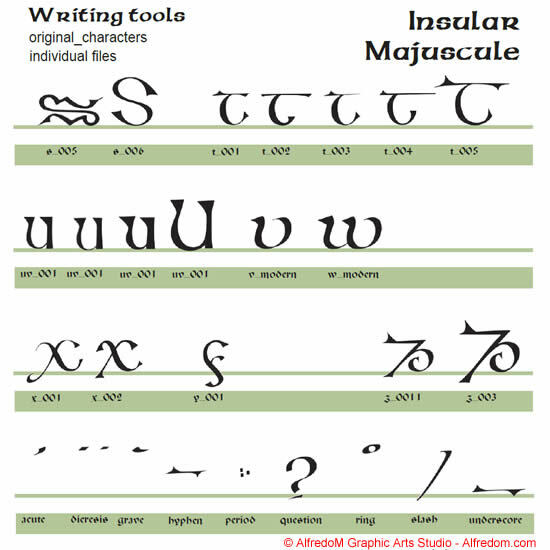 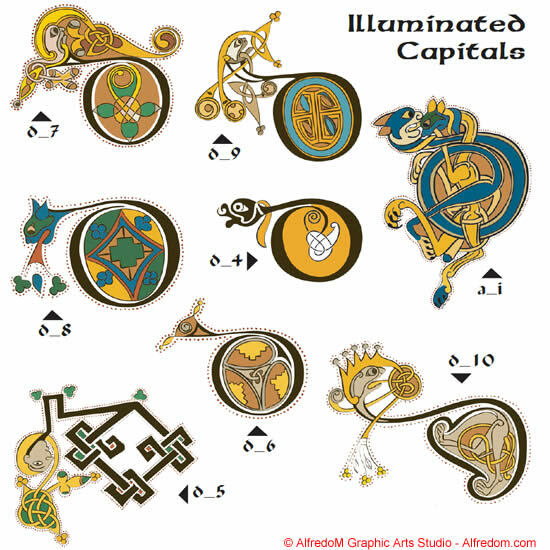 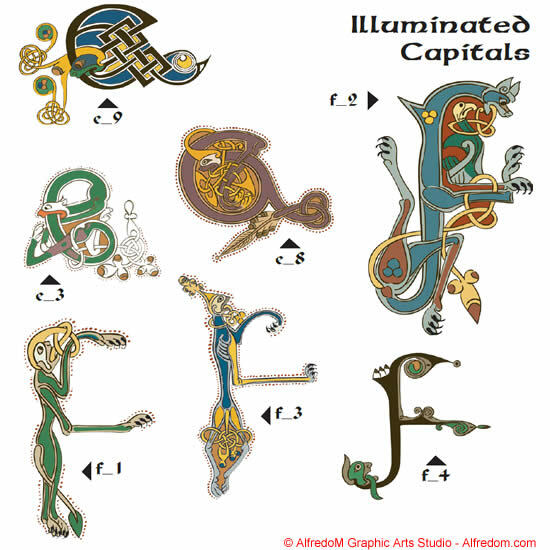 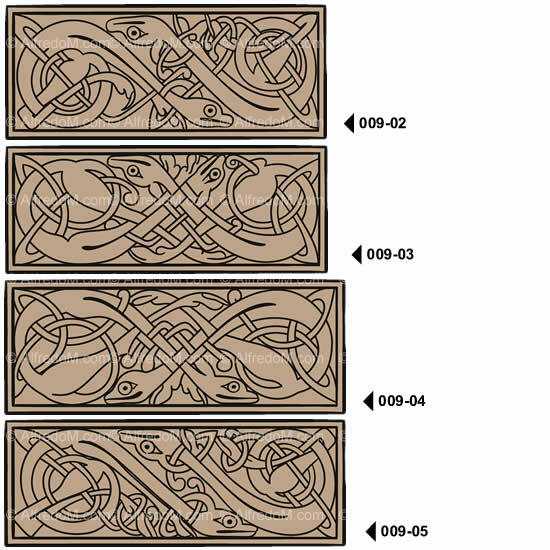 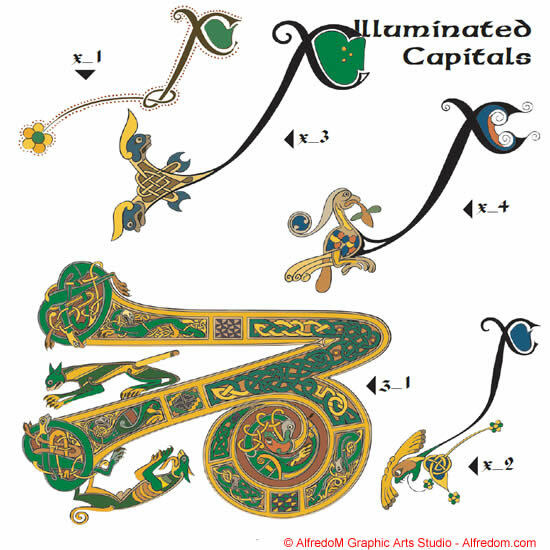 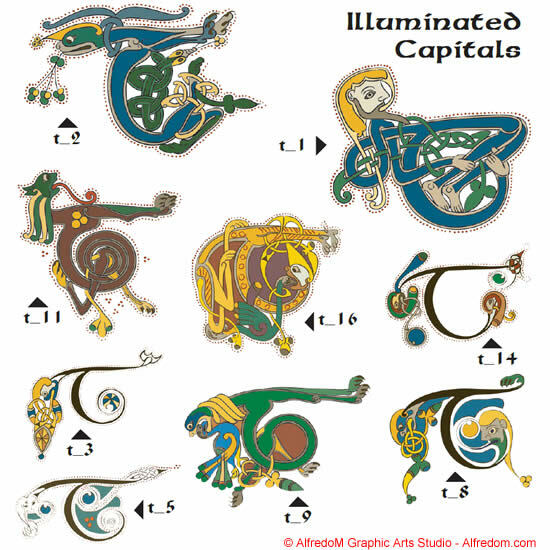 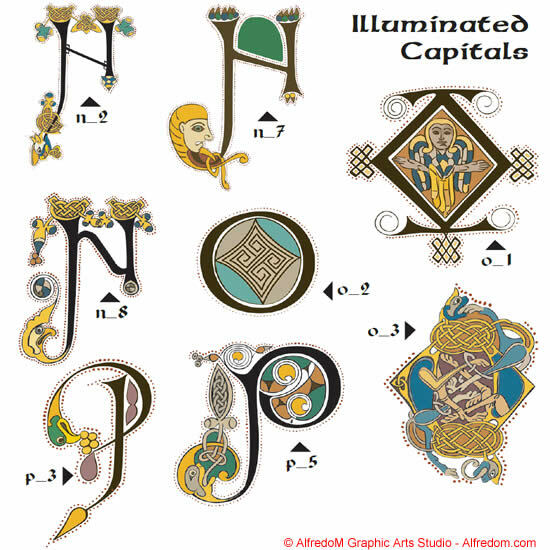 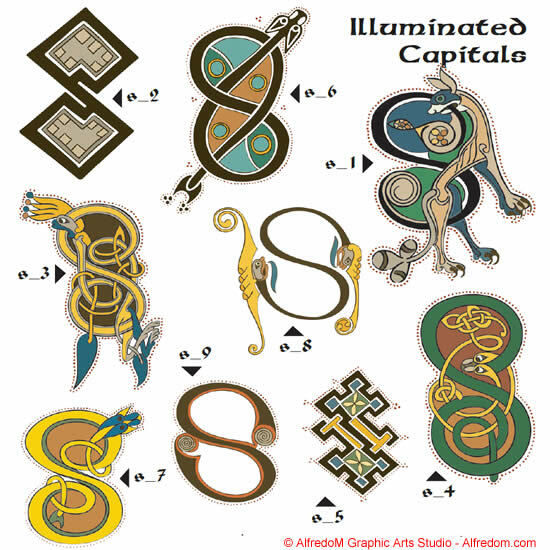 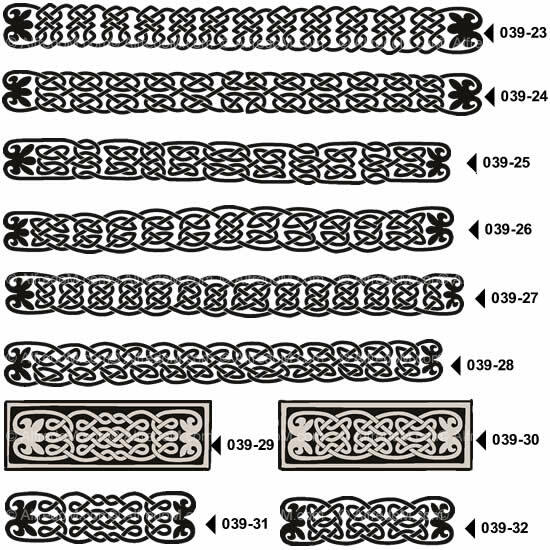 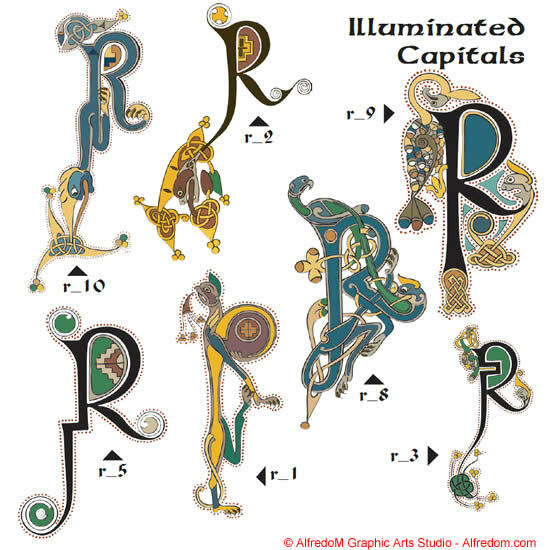 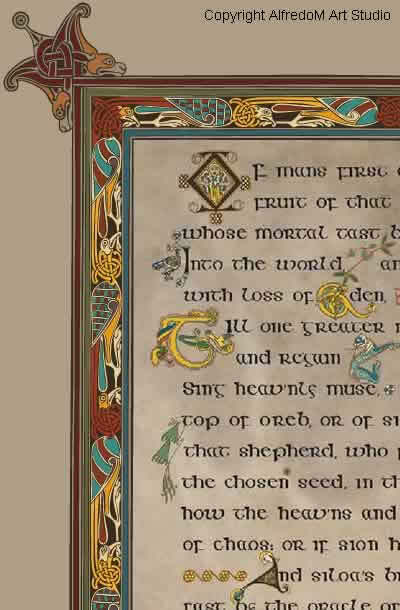 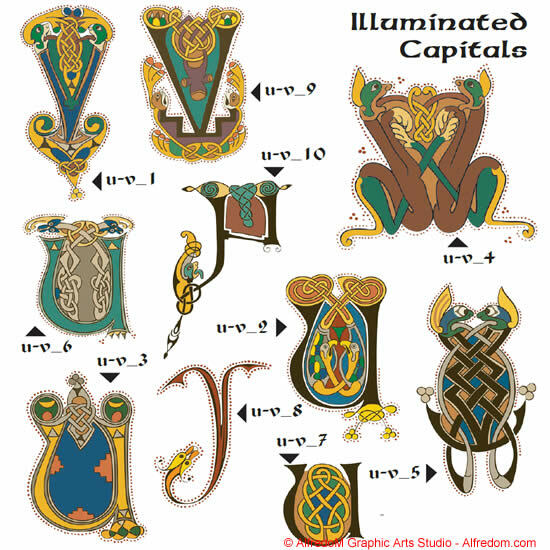 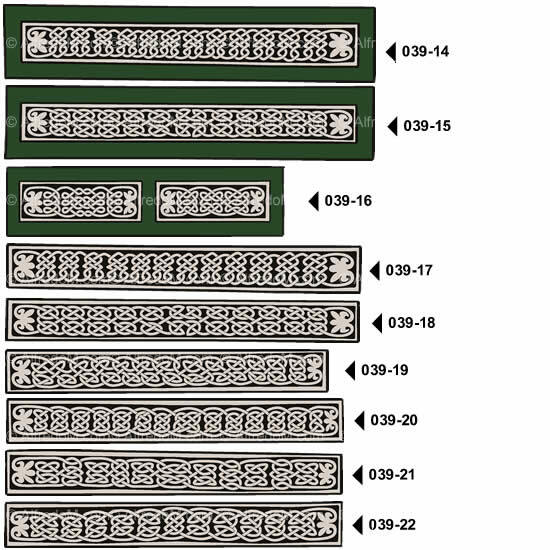 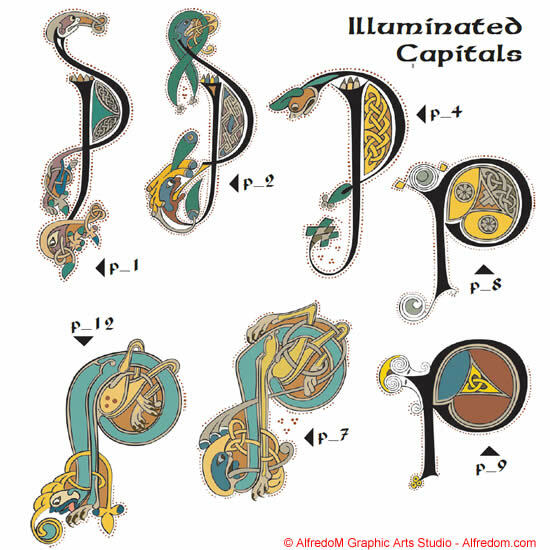 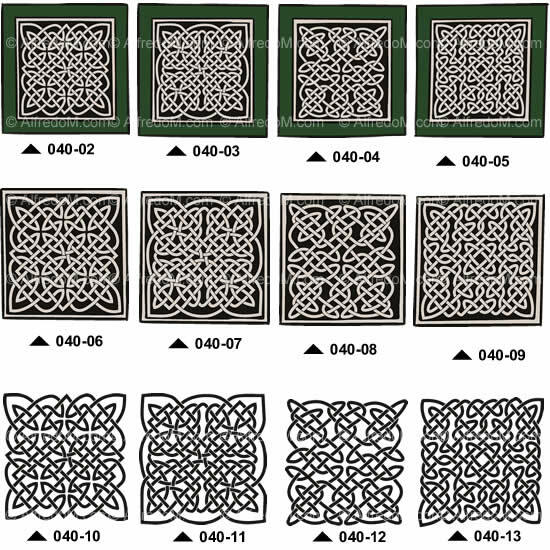 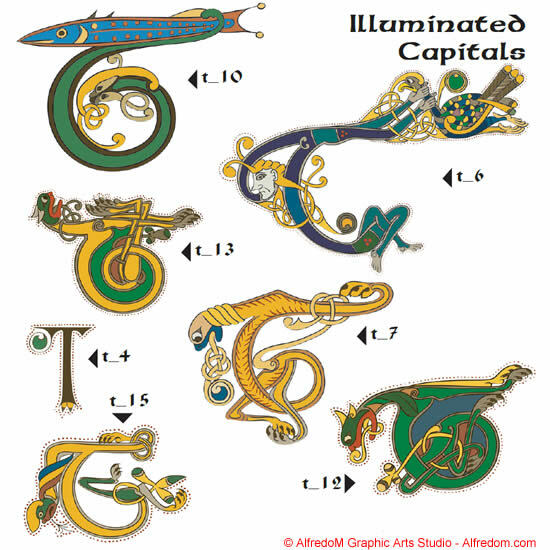 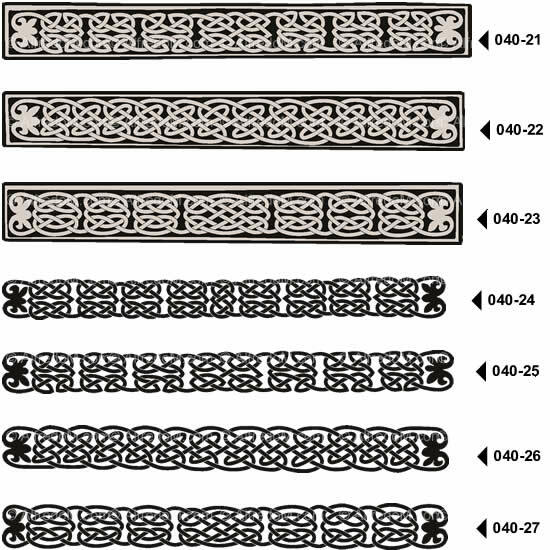 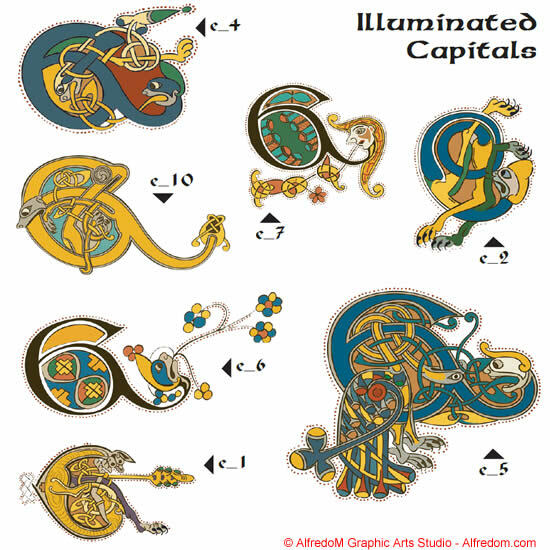 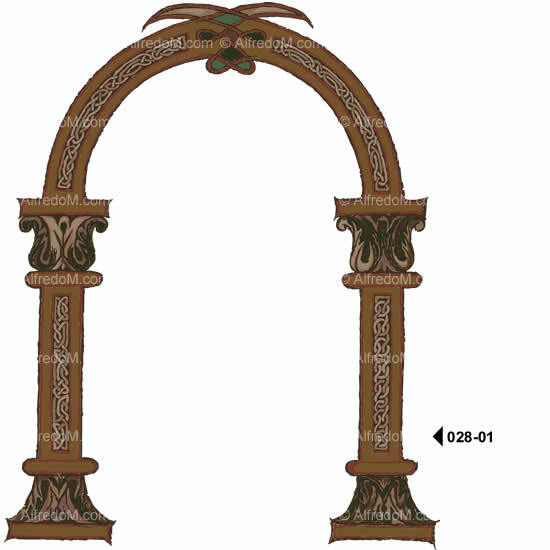 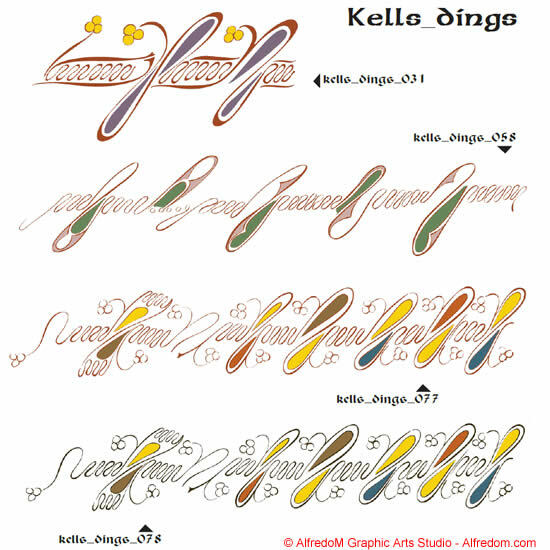 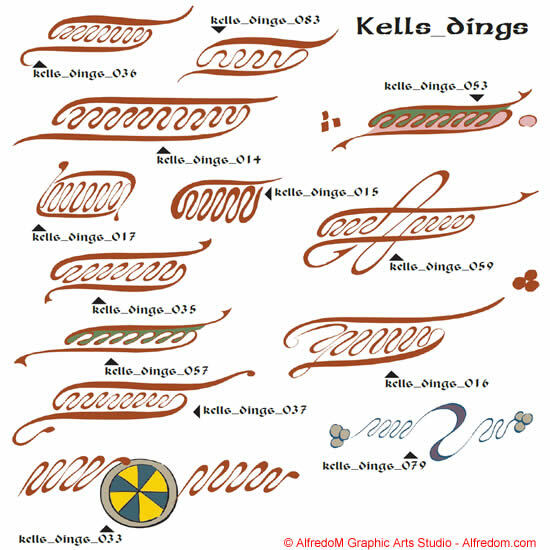 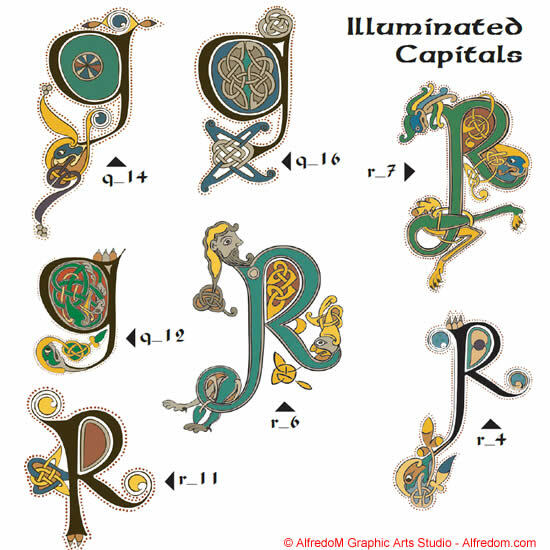 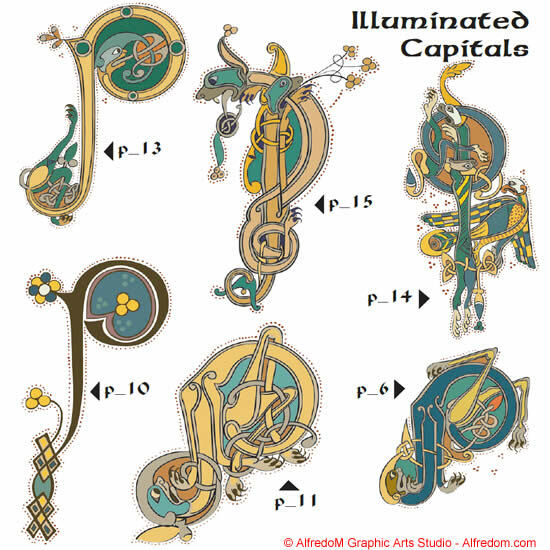 The Book of Kells capital letters, calligraphy and TTF font.